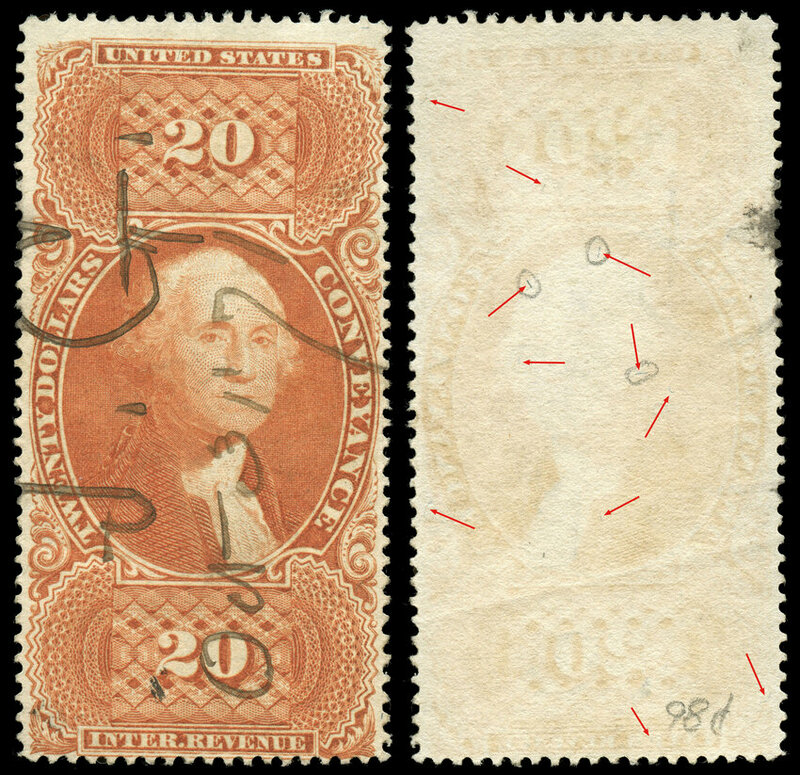 The table below lists all the major varieties for the first issue of U.S. 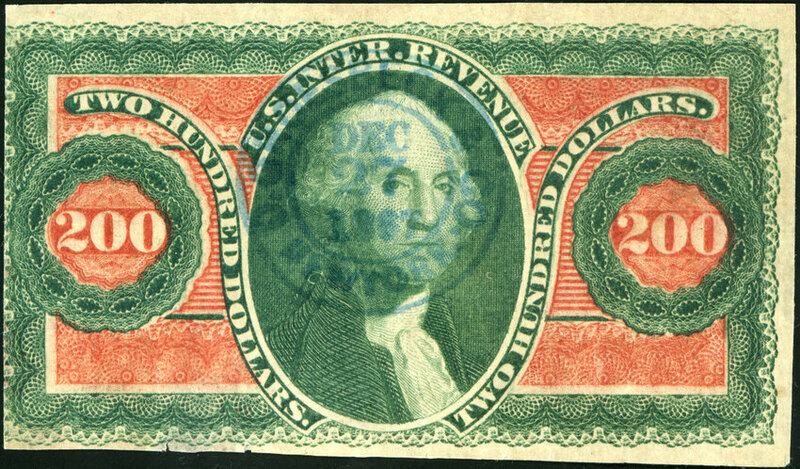 Revenues. 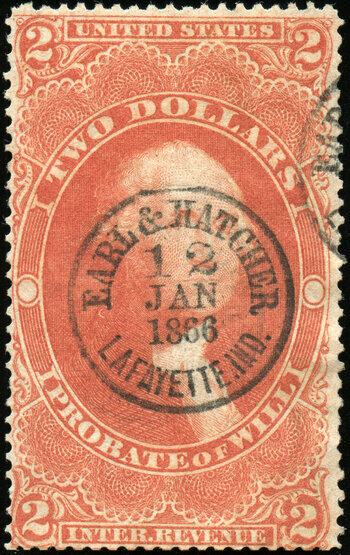 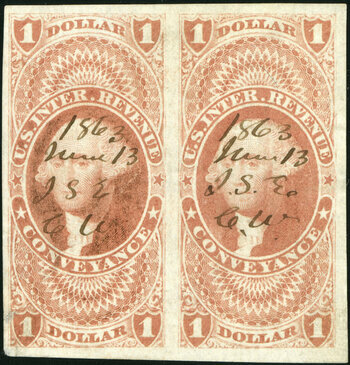 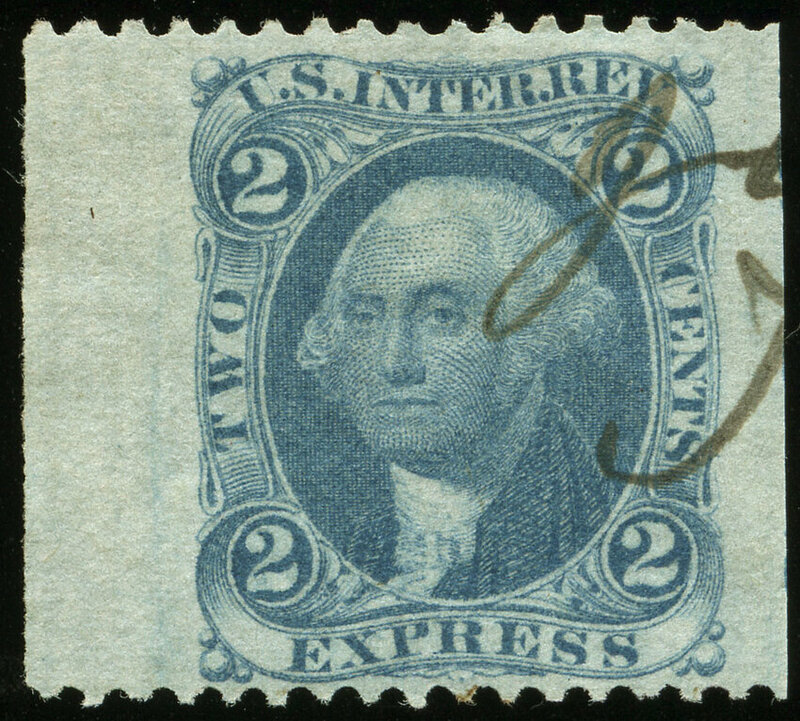 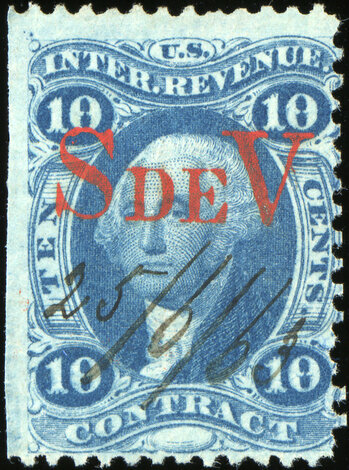 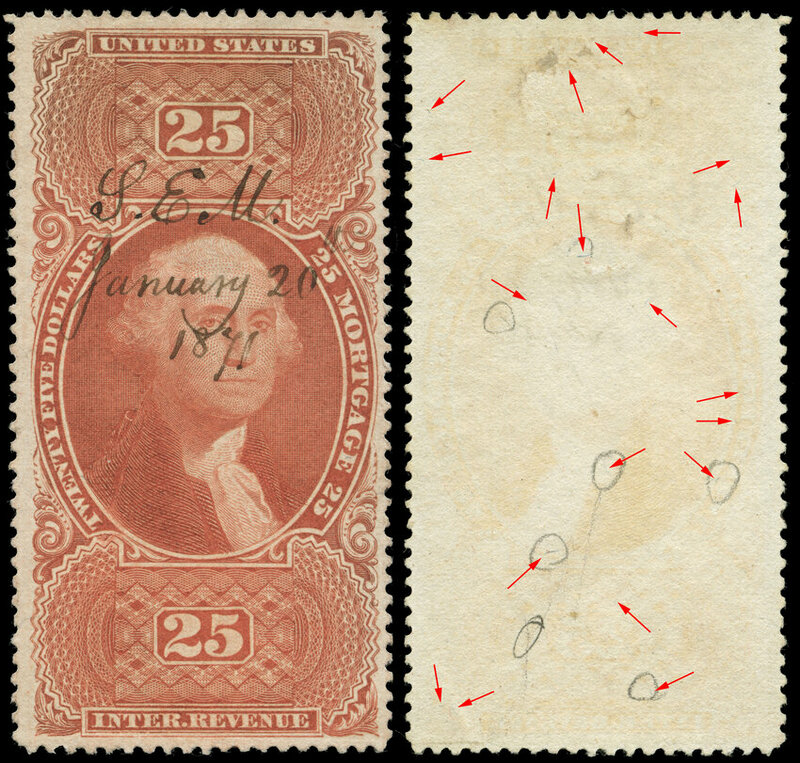 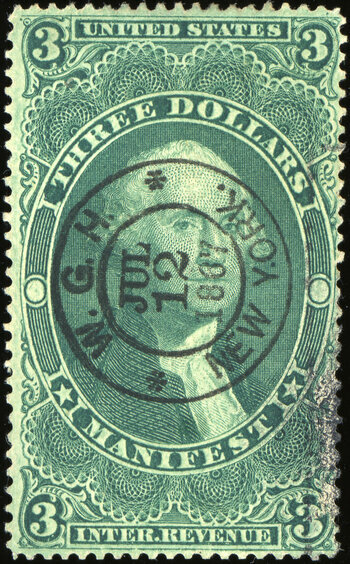 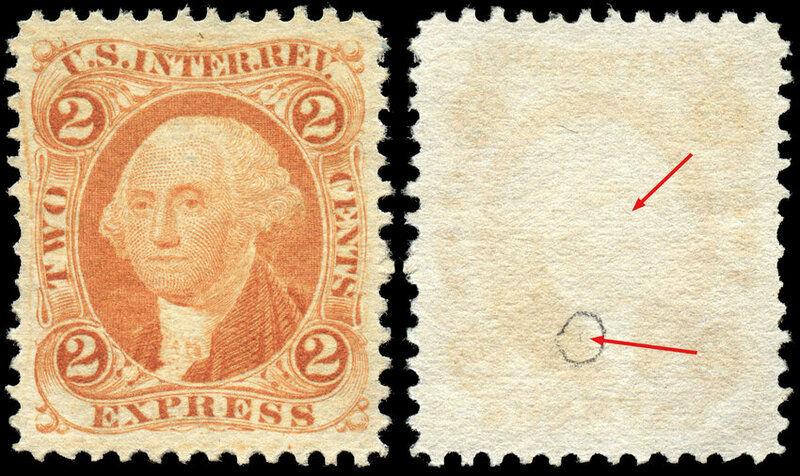 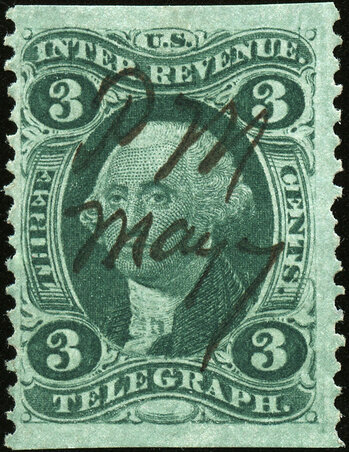 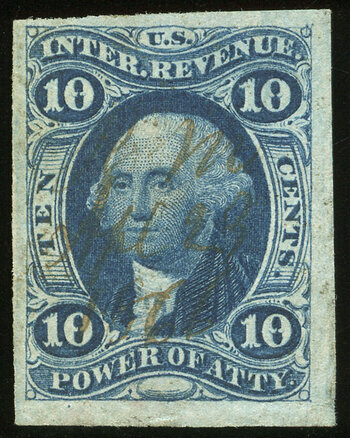 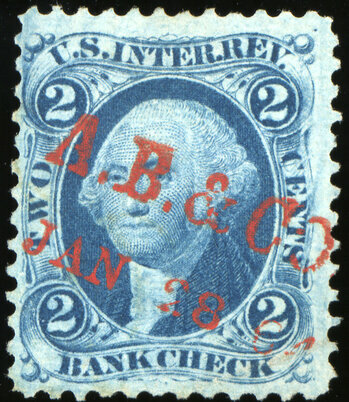 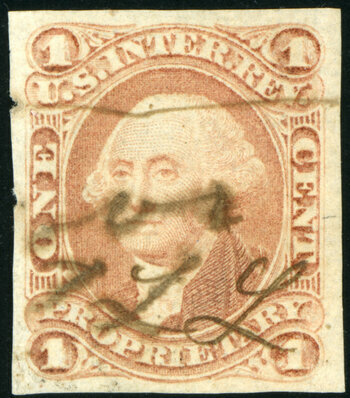 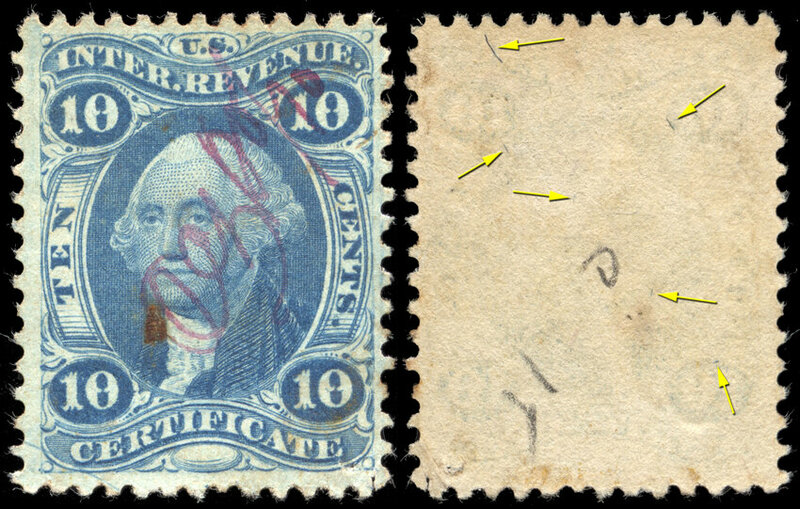 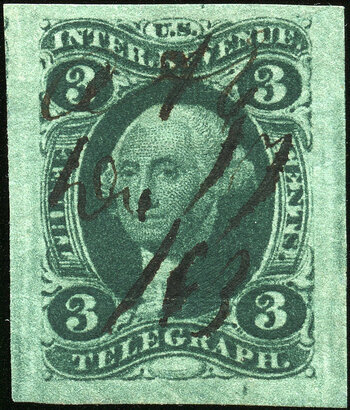 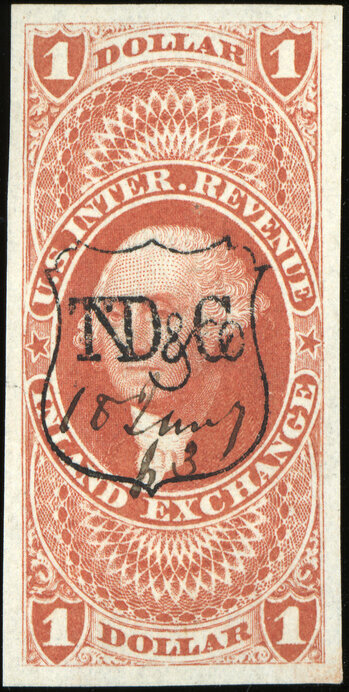 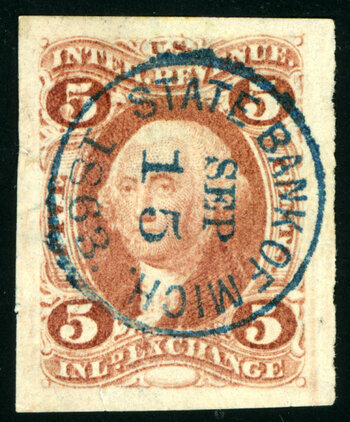 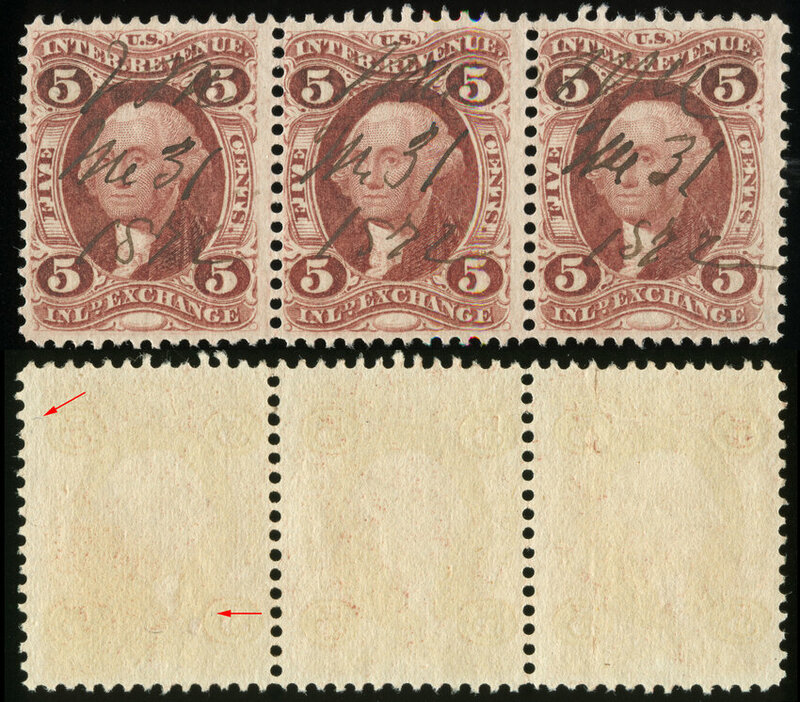 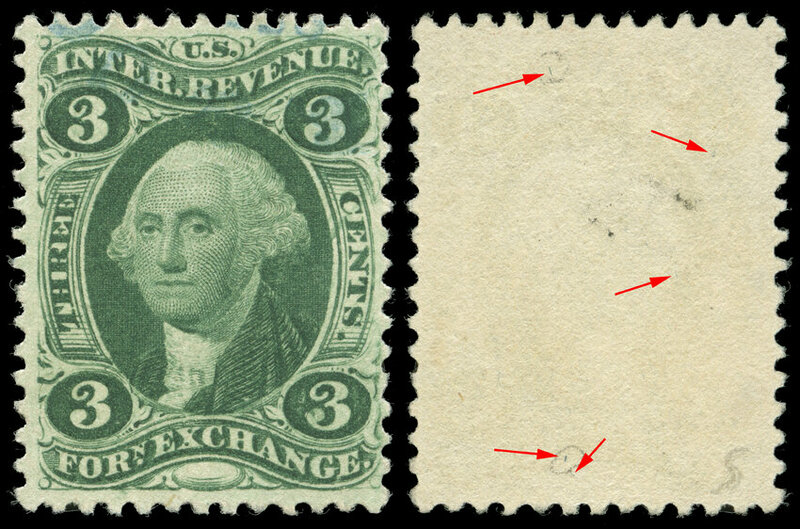 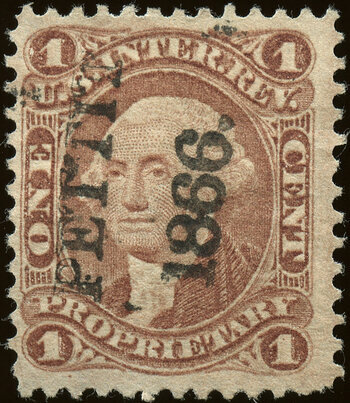 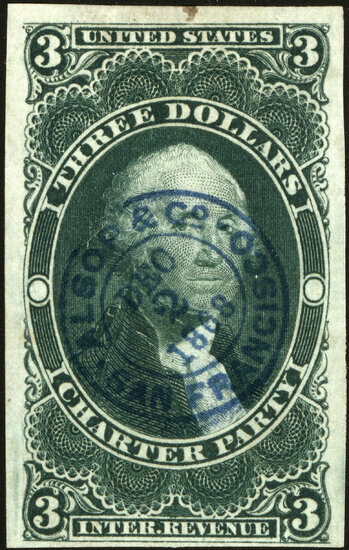 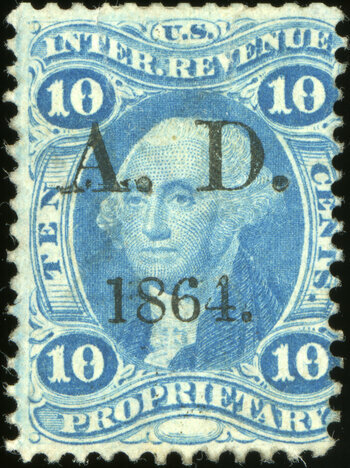 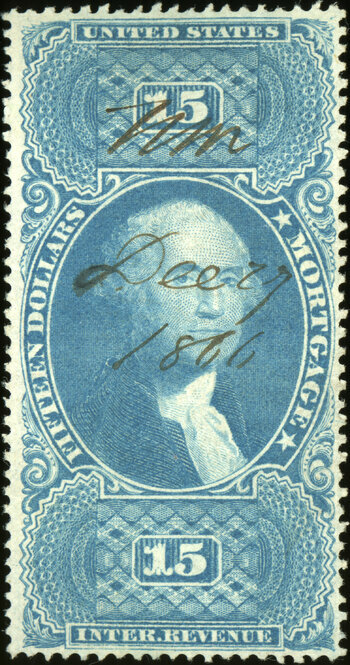 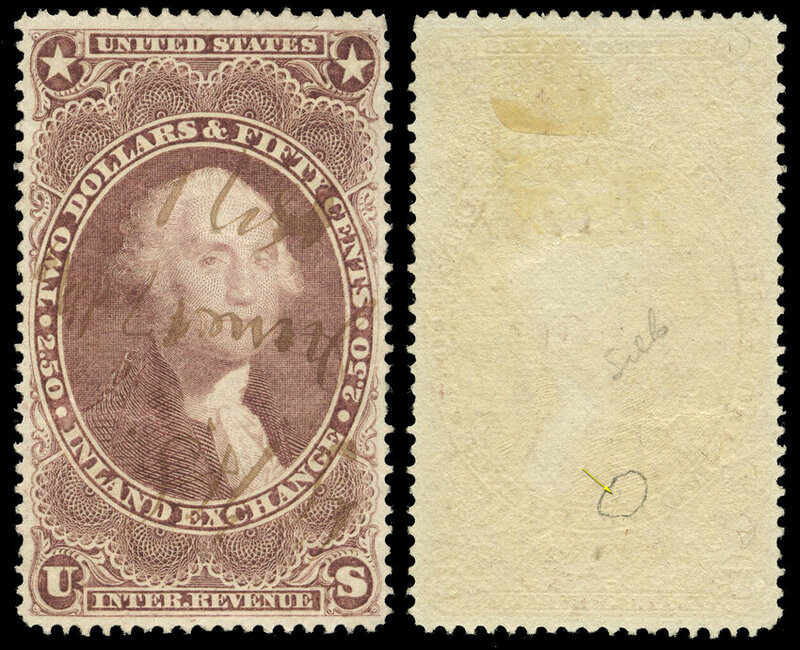 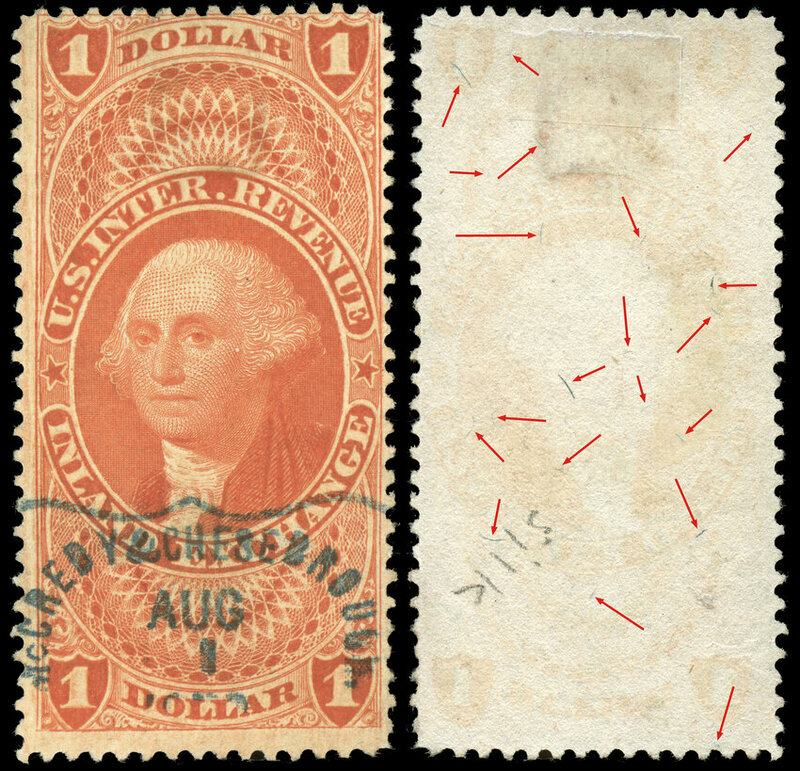 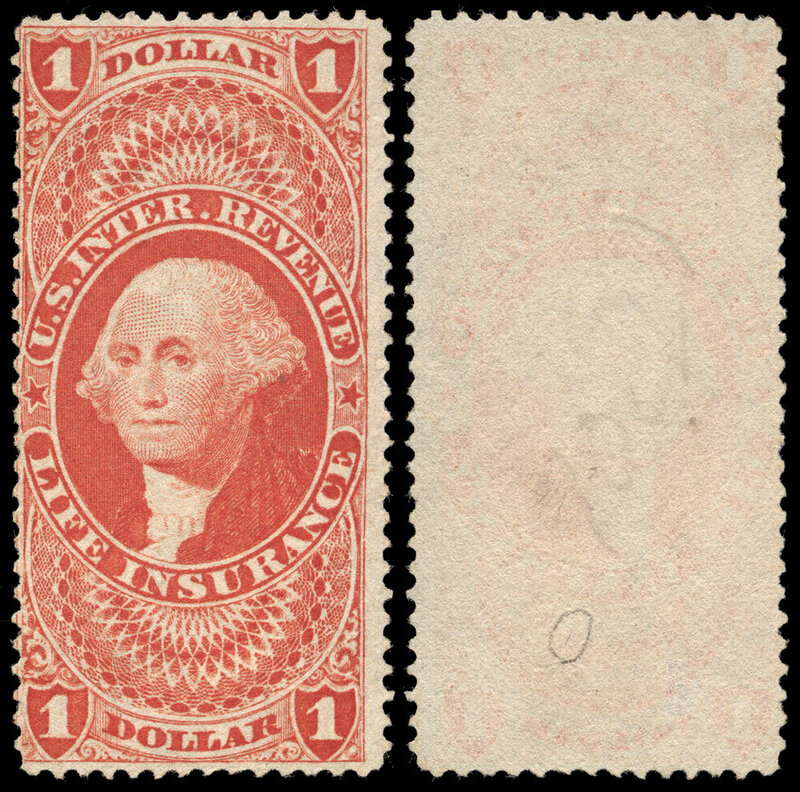 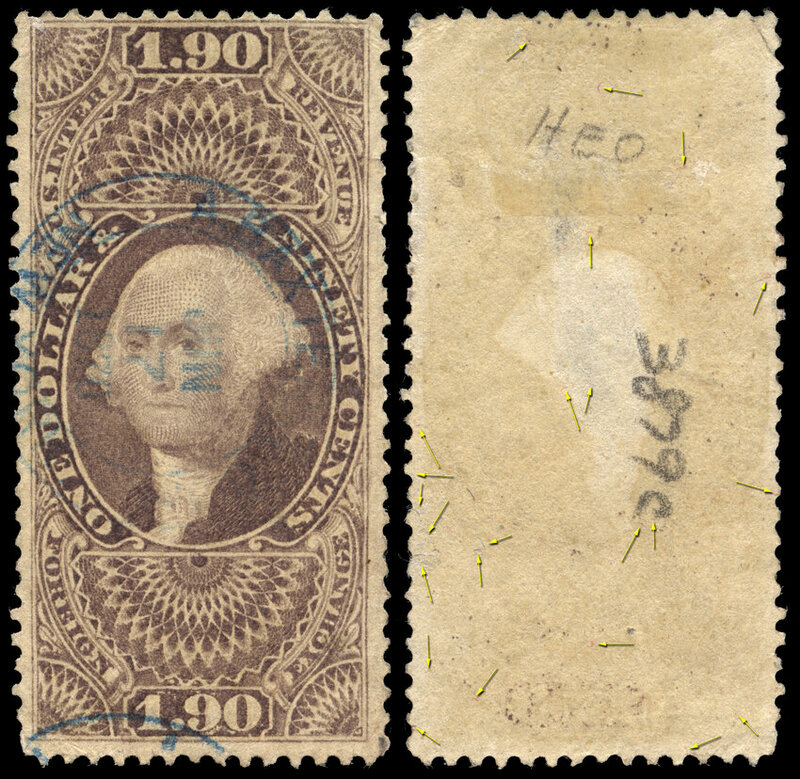 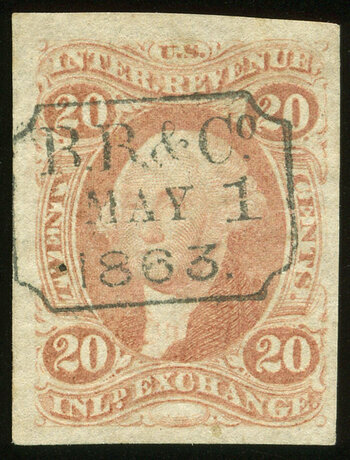 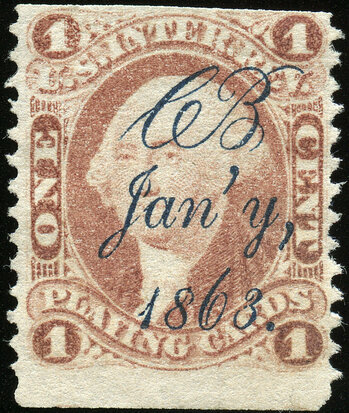 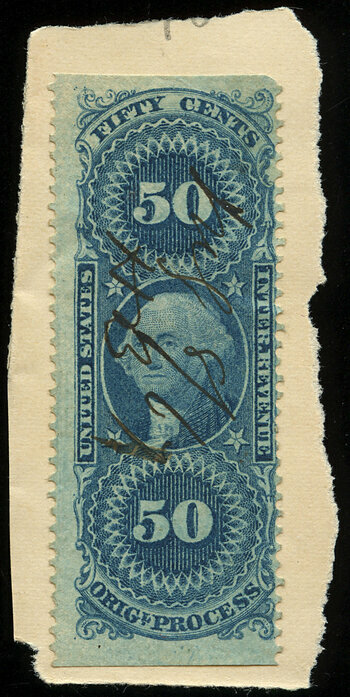 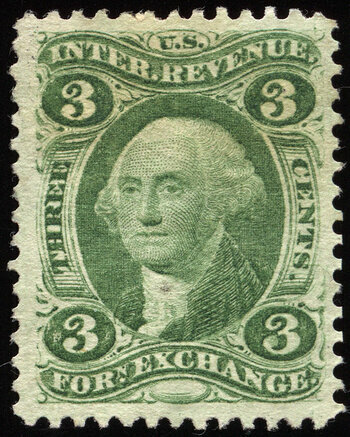 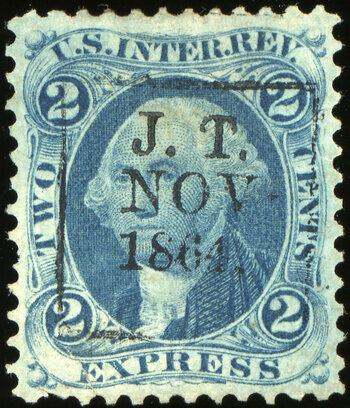 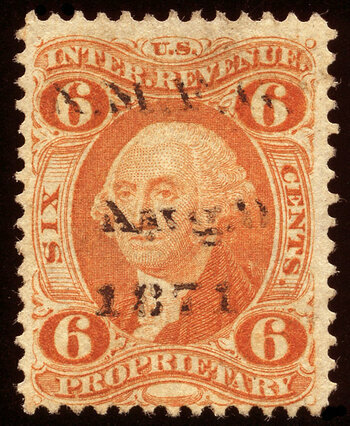 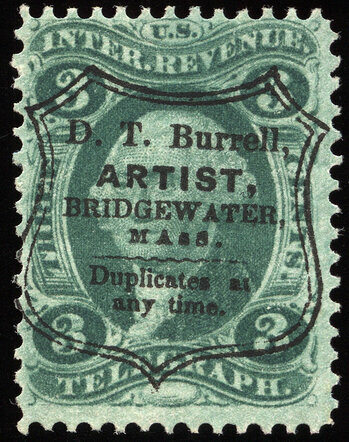 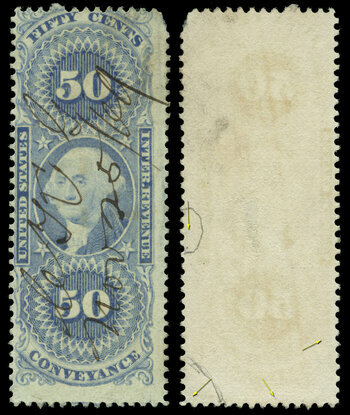 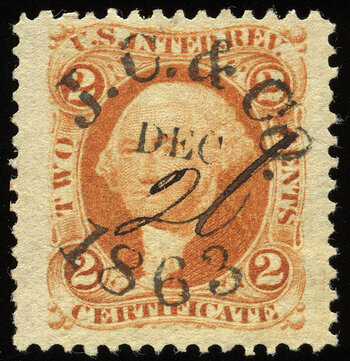 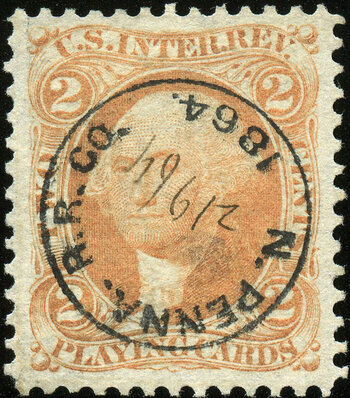 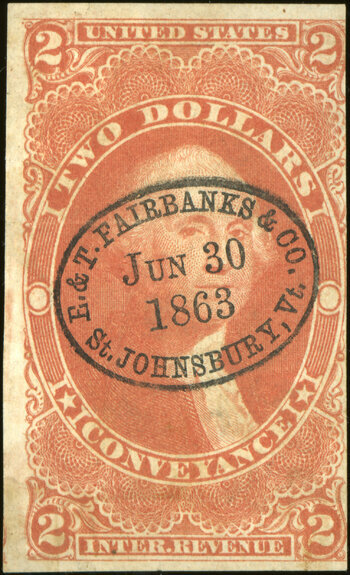 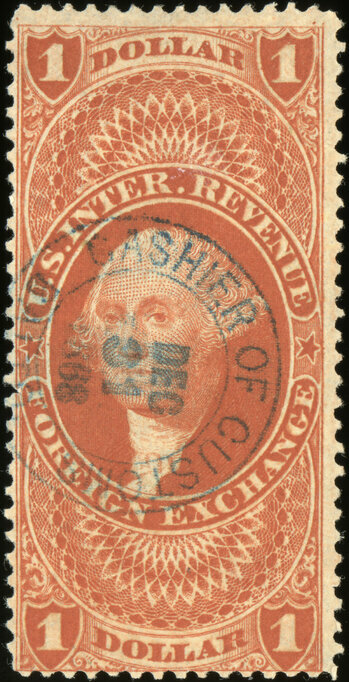 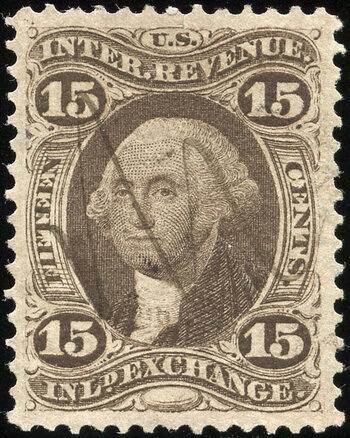 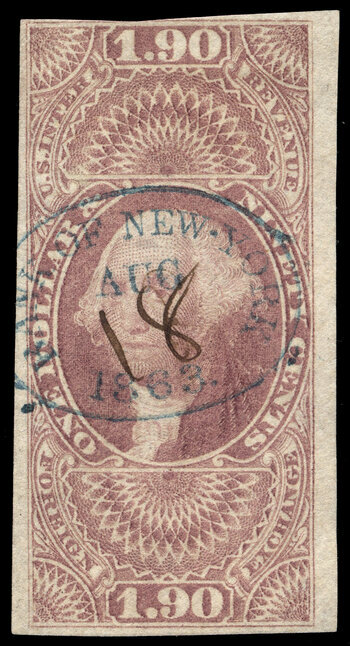 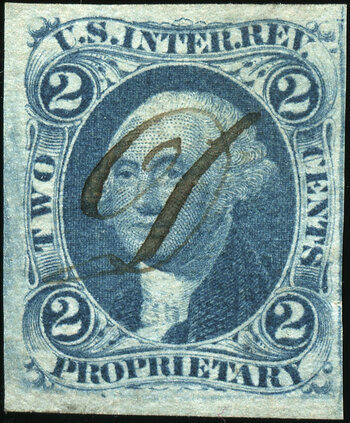 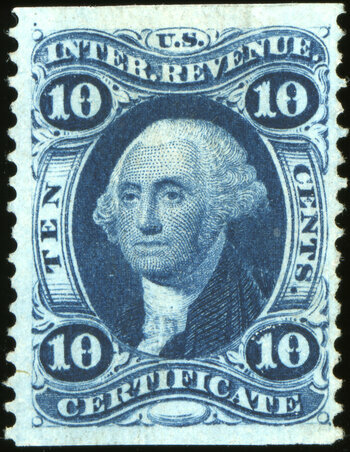 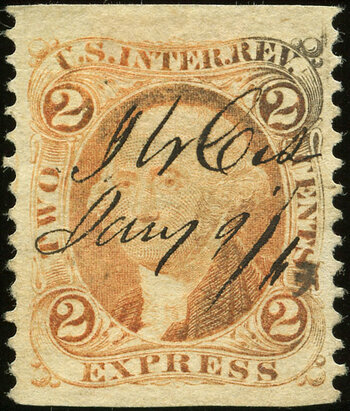 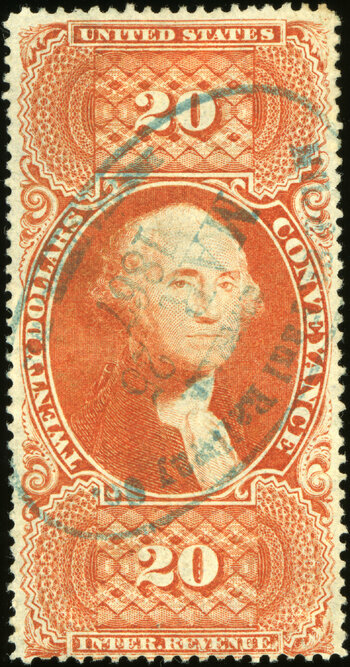 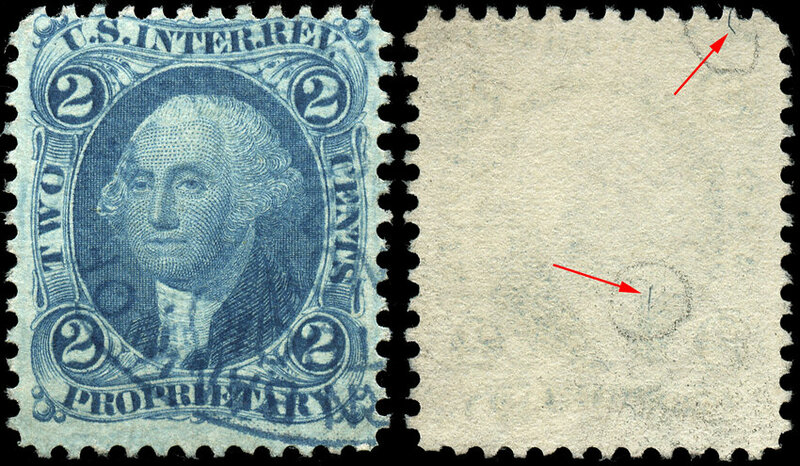 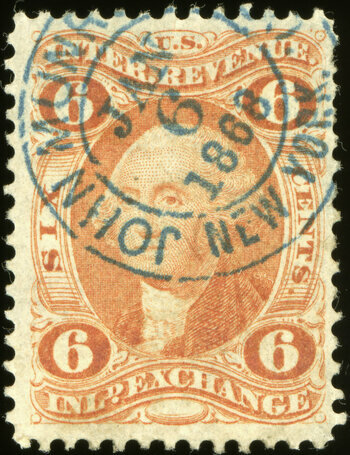 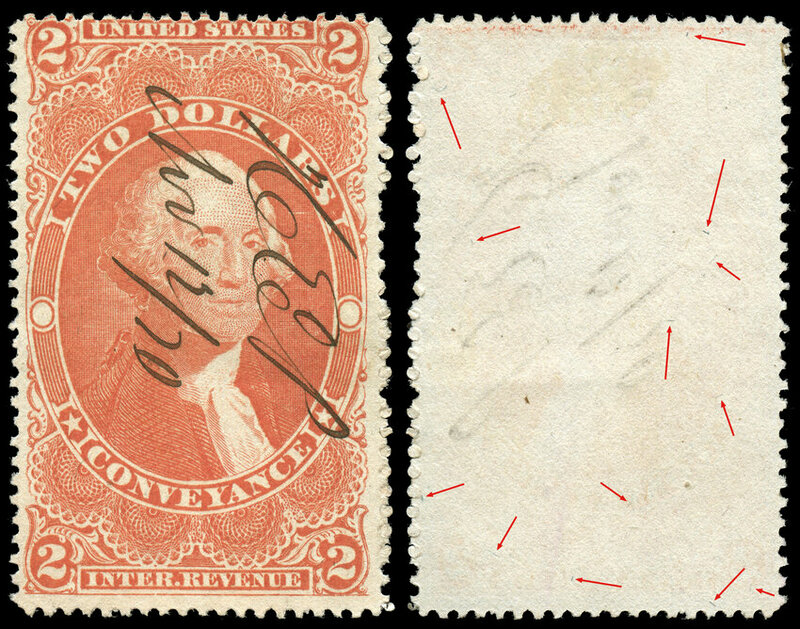 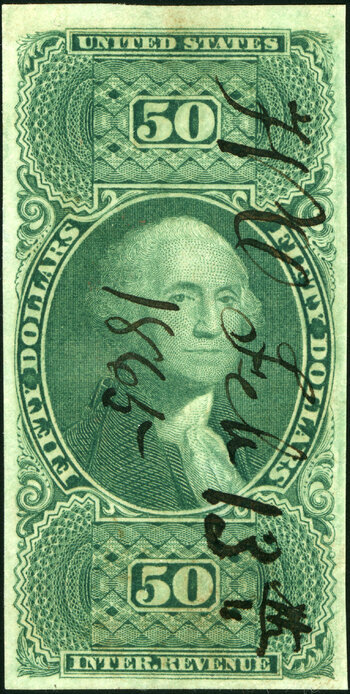 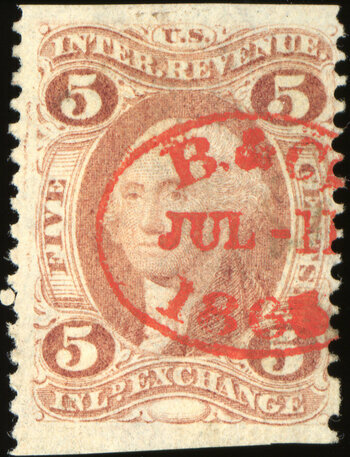 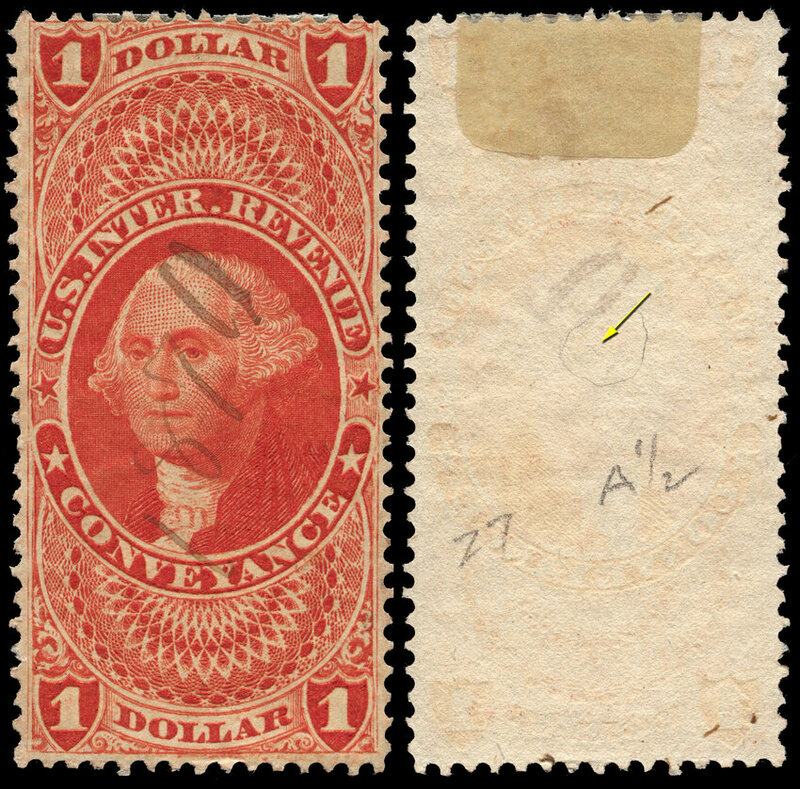 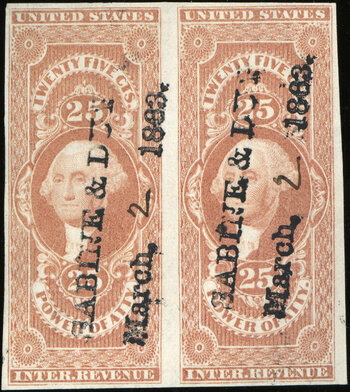 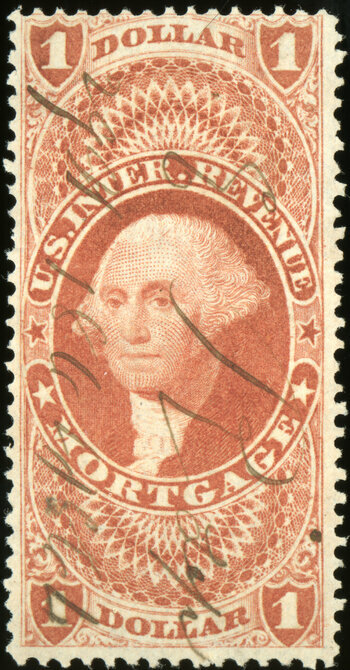 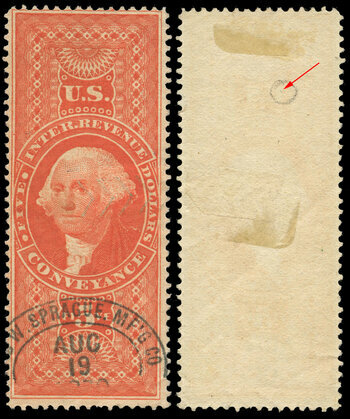 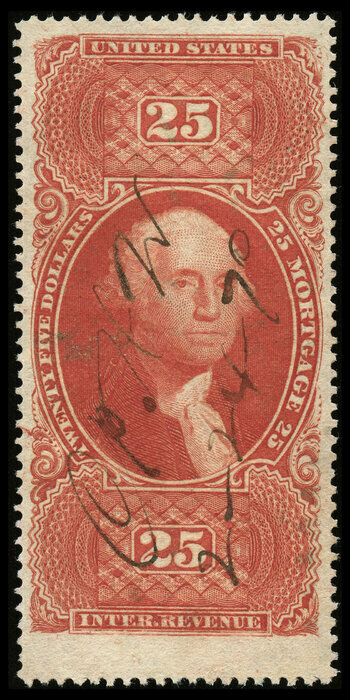 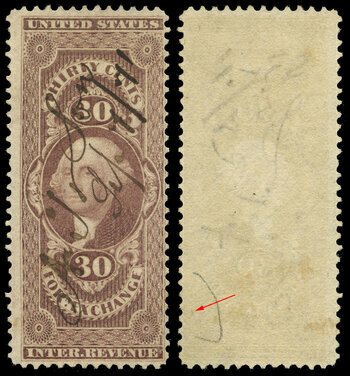 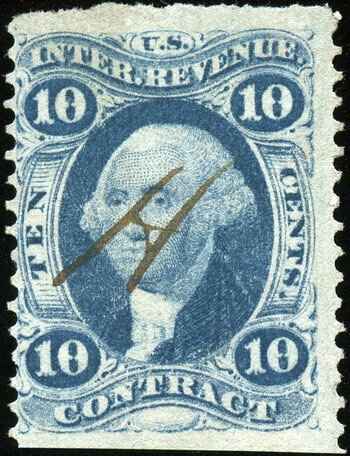 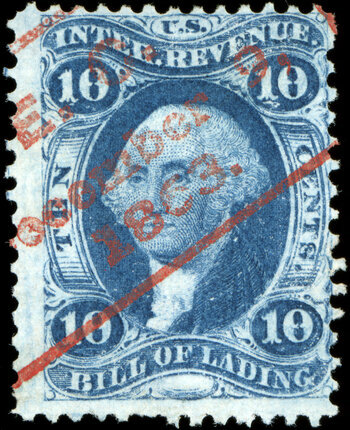 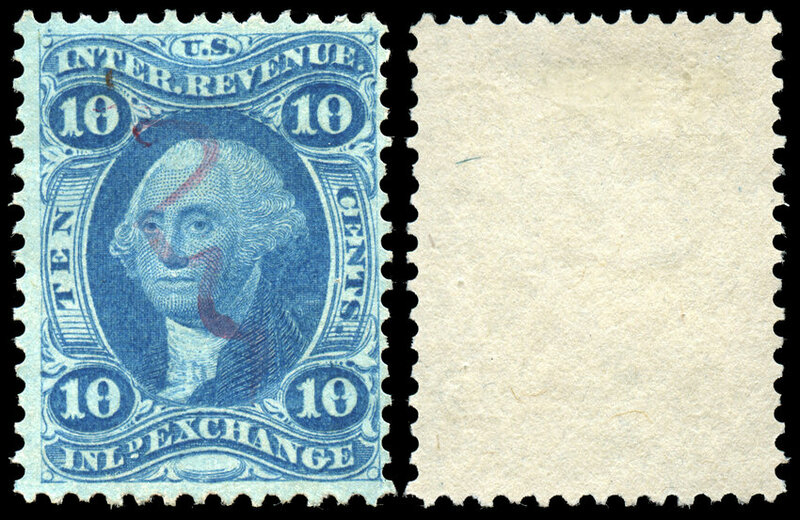 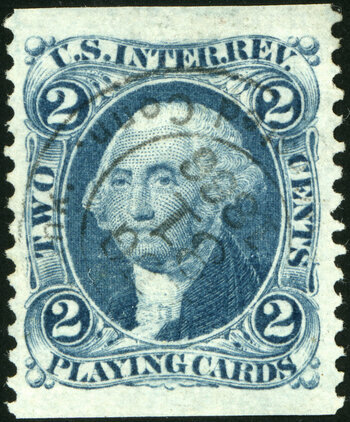 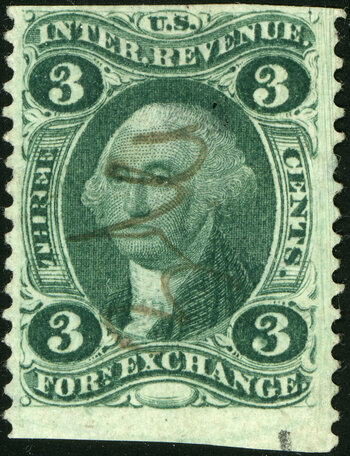 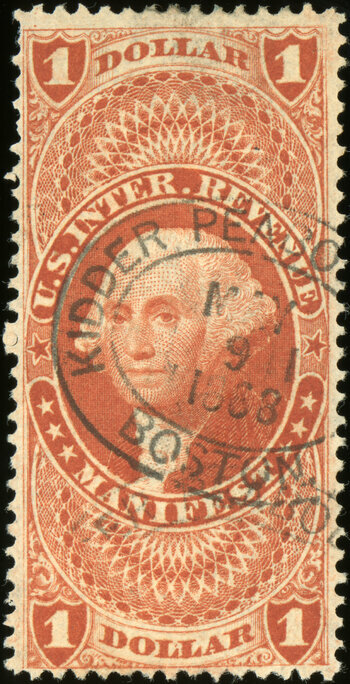 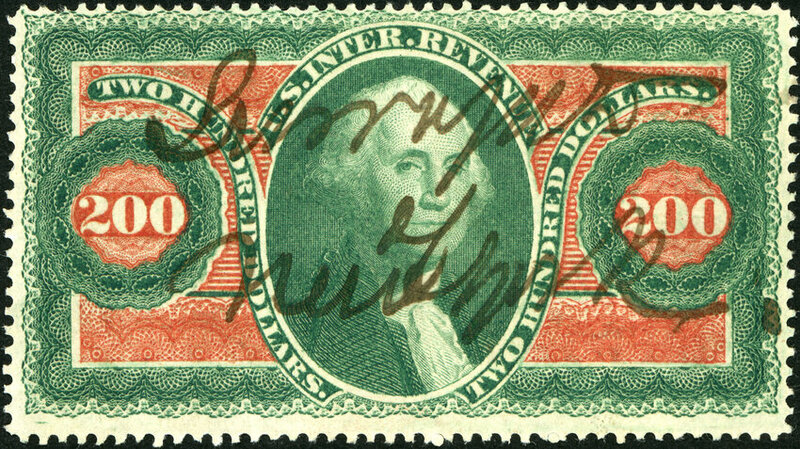 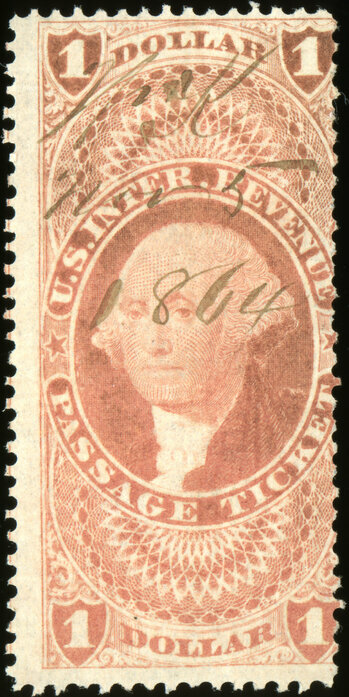 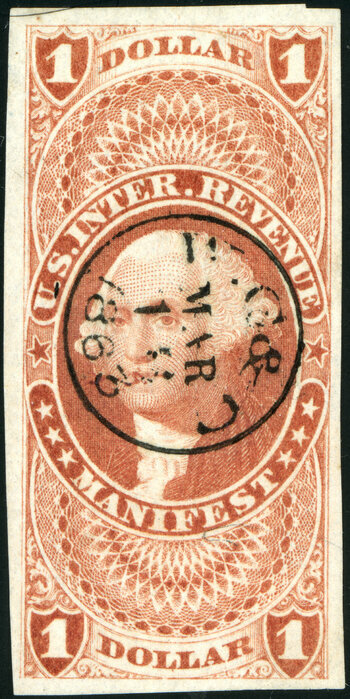 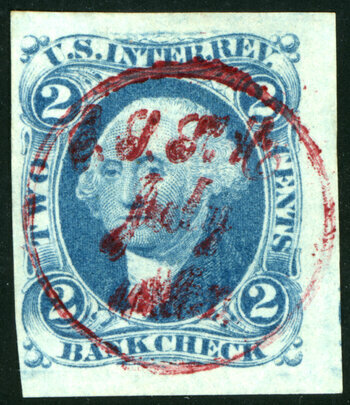 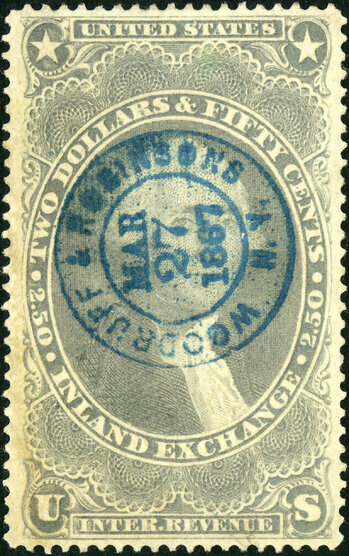 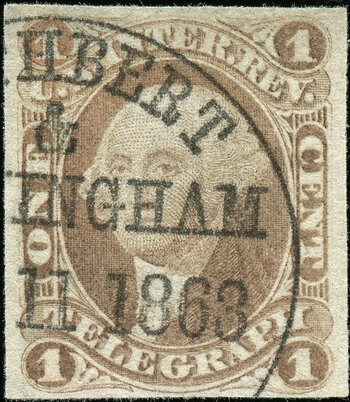 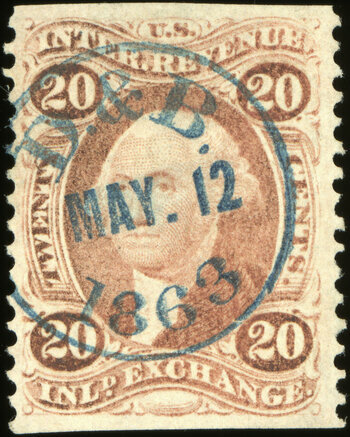 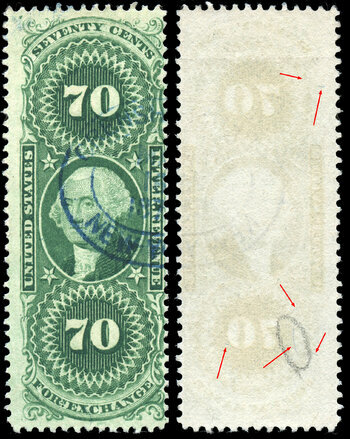 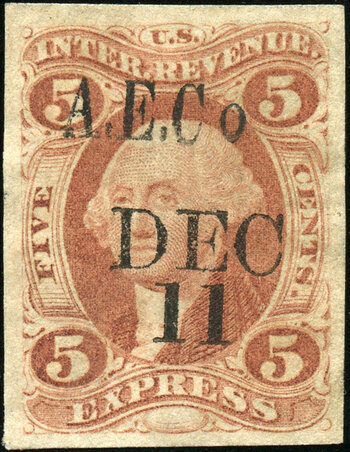 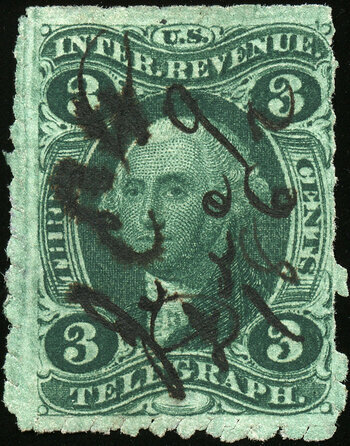 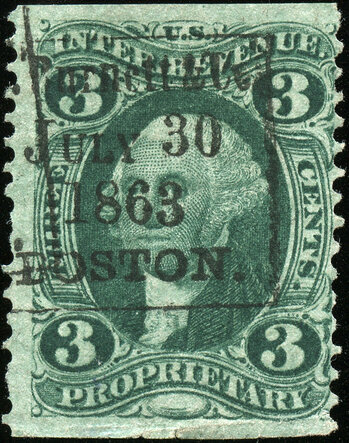 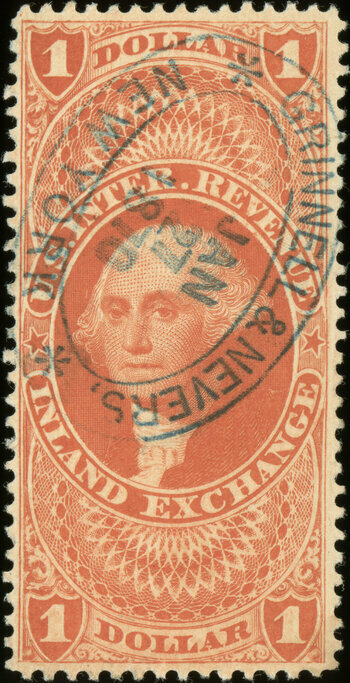 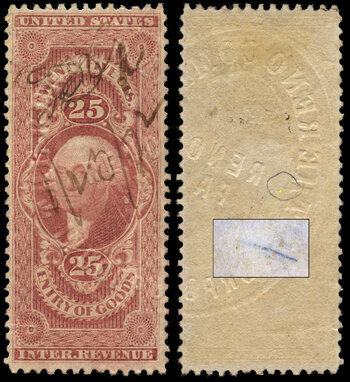 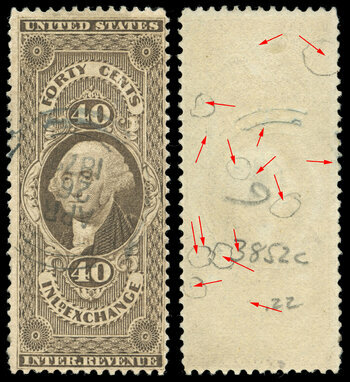 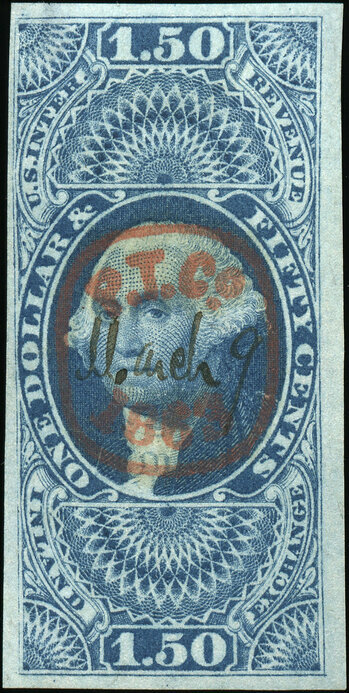 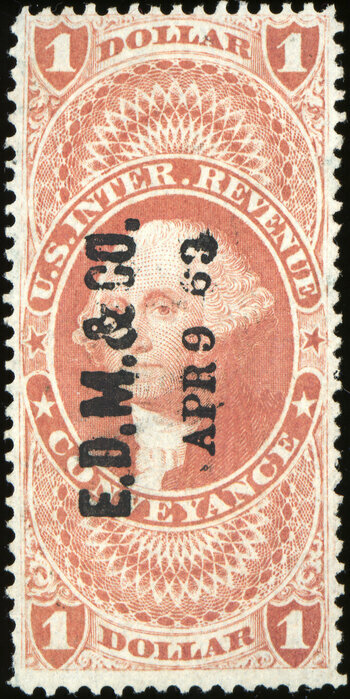 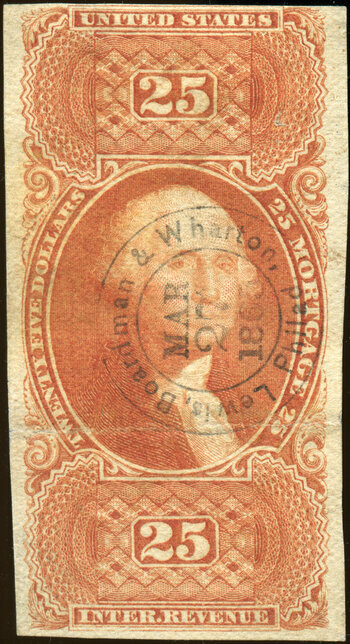 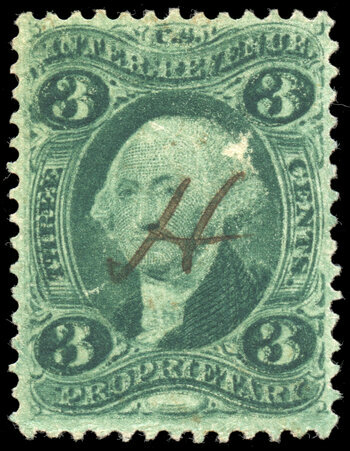 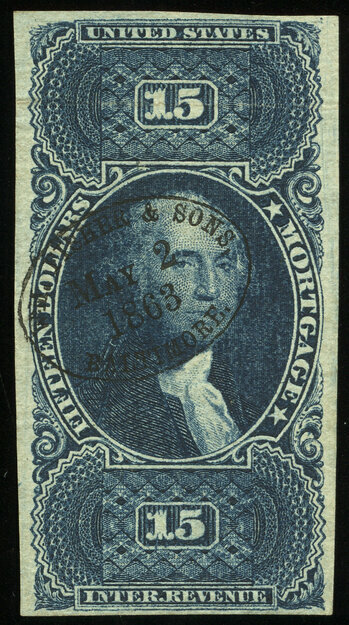 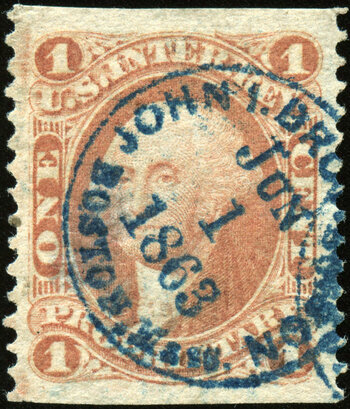 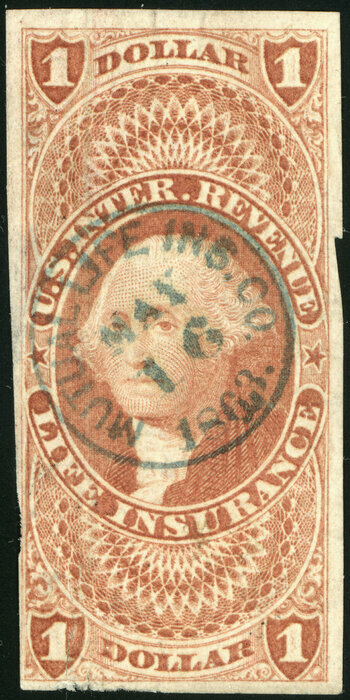 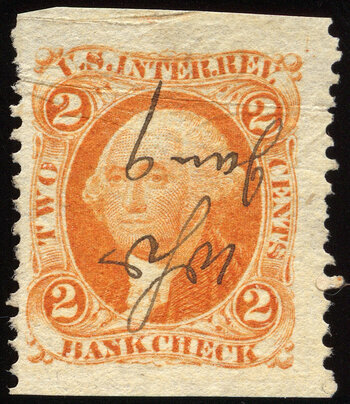 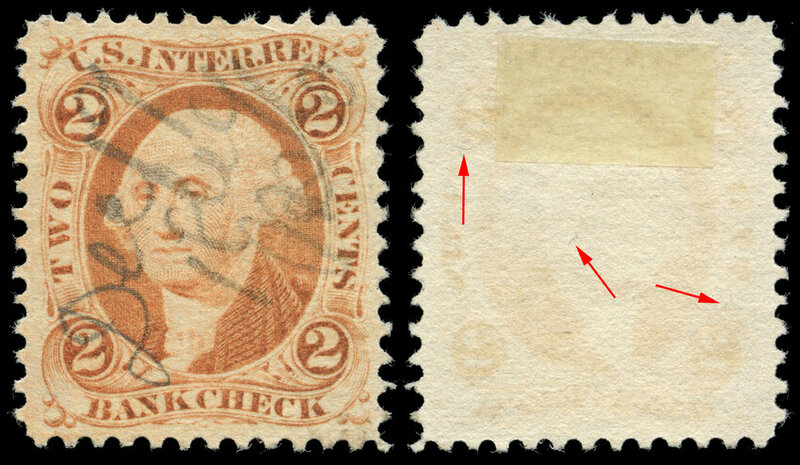 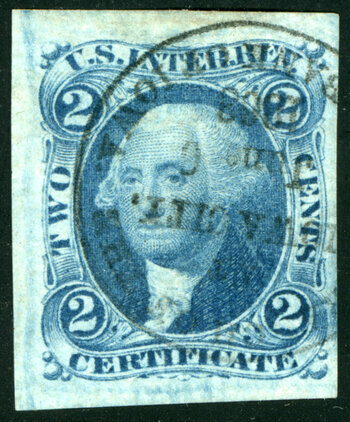 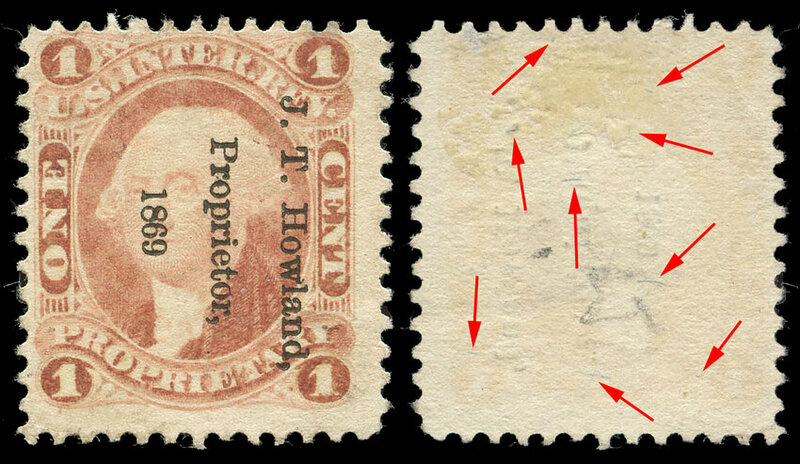 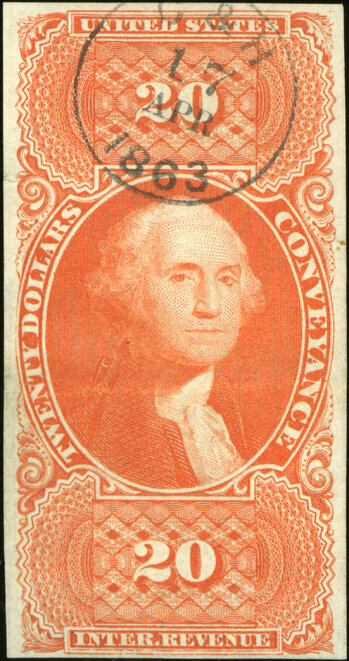 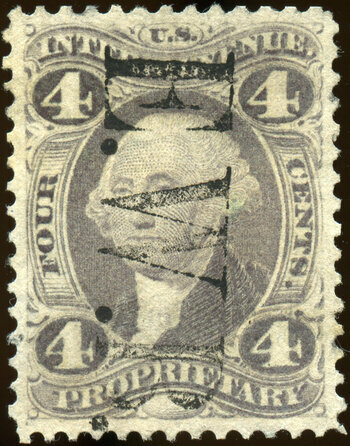 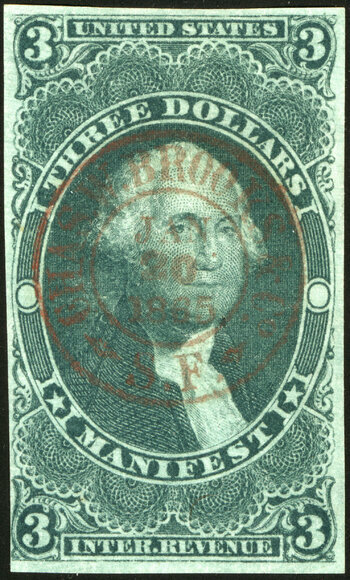 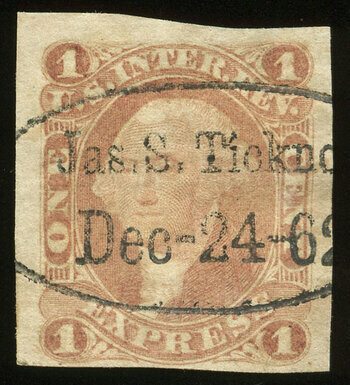 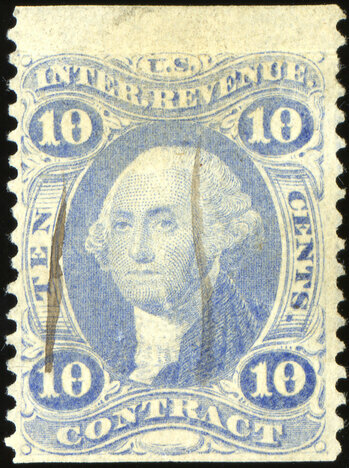 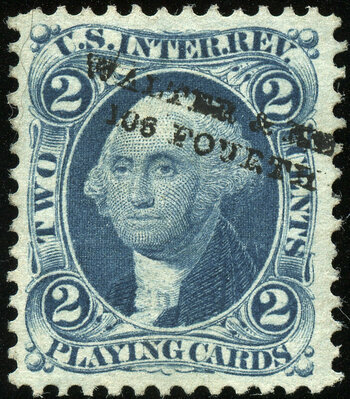 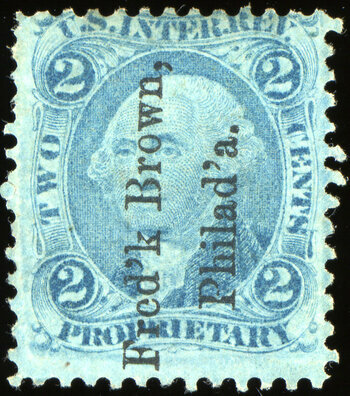 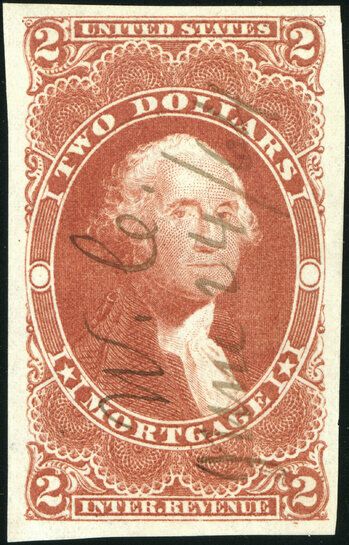 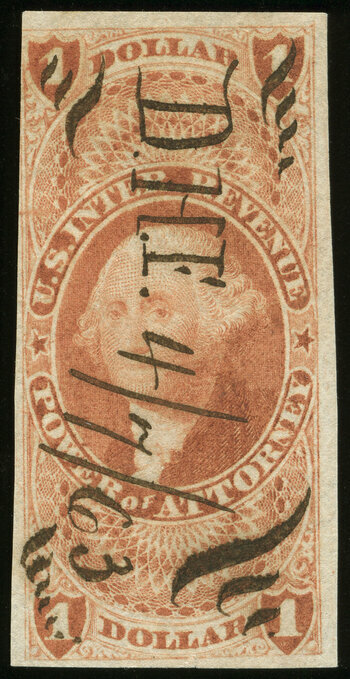 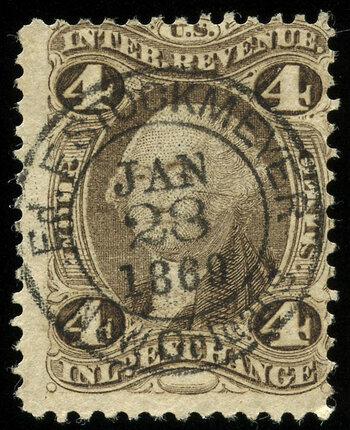 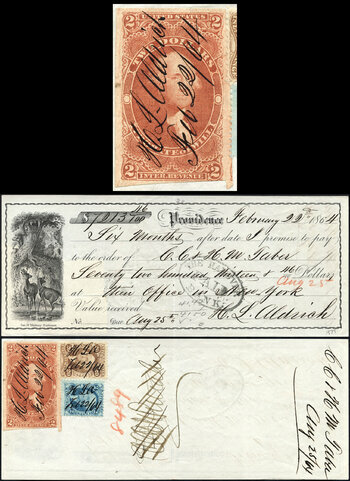 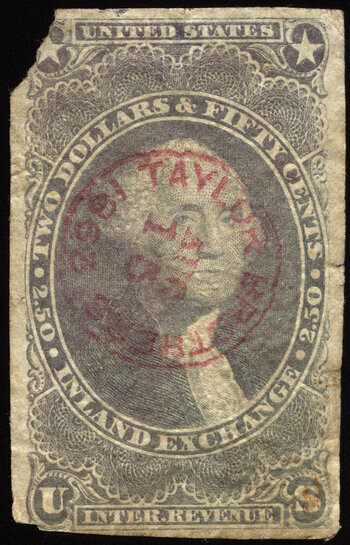 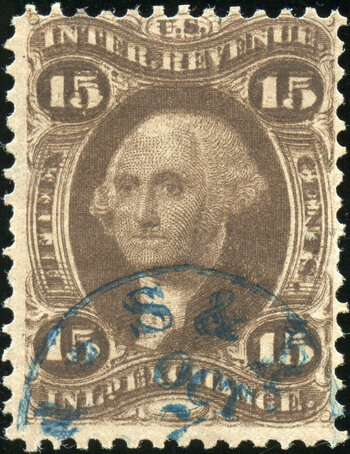 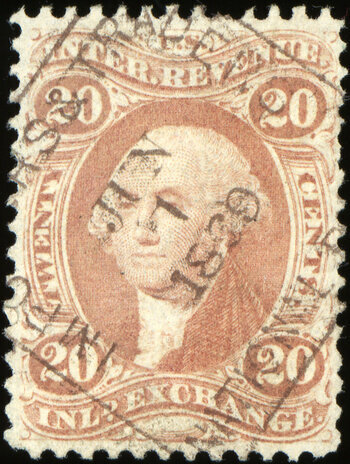 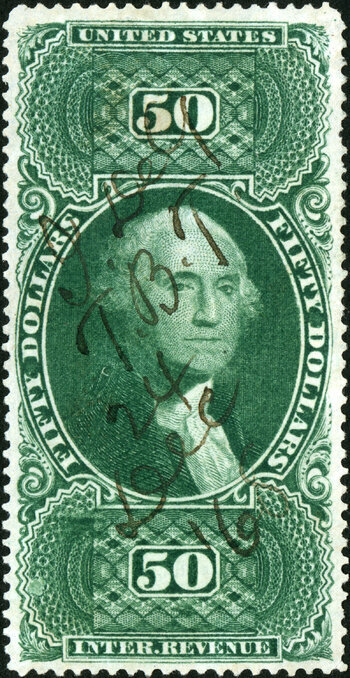 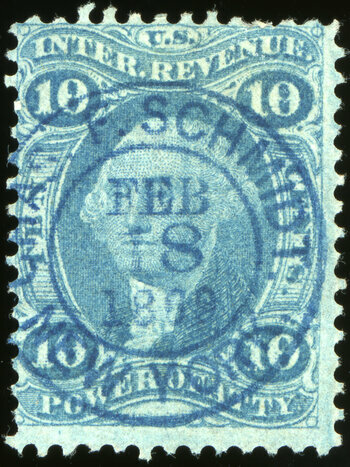 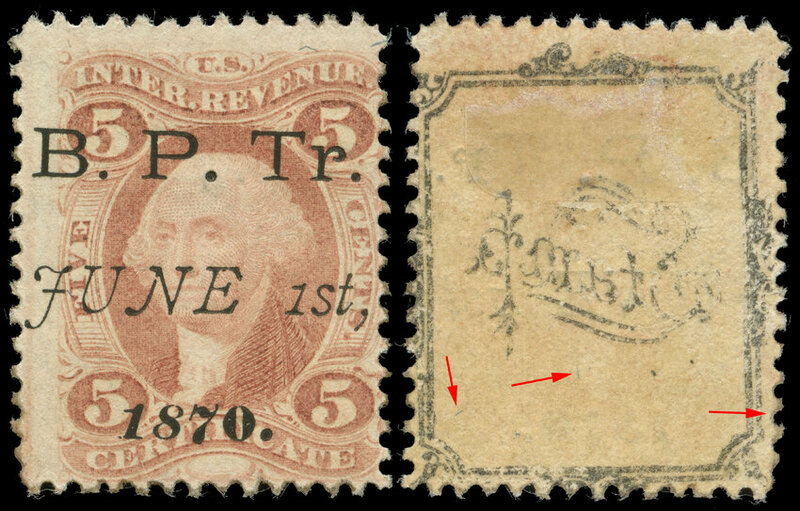 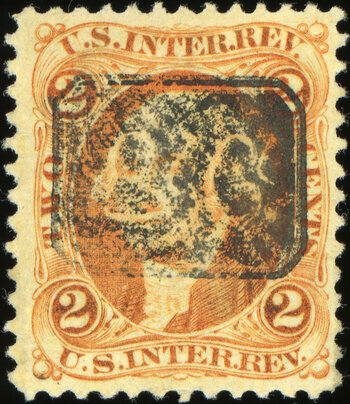 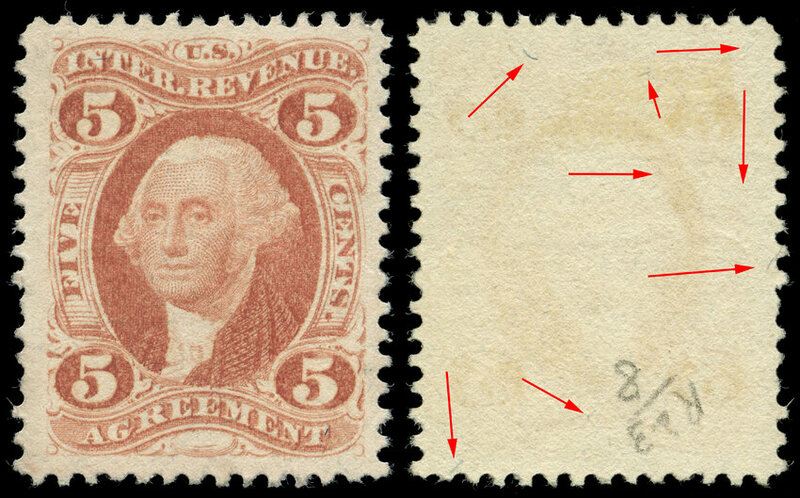 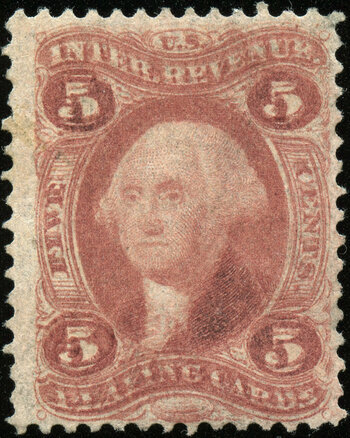 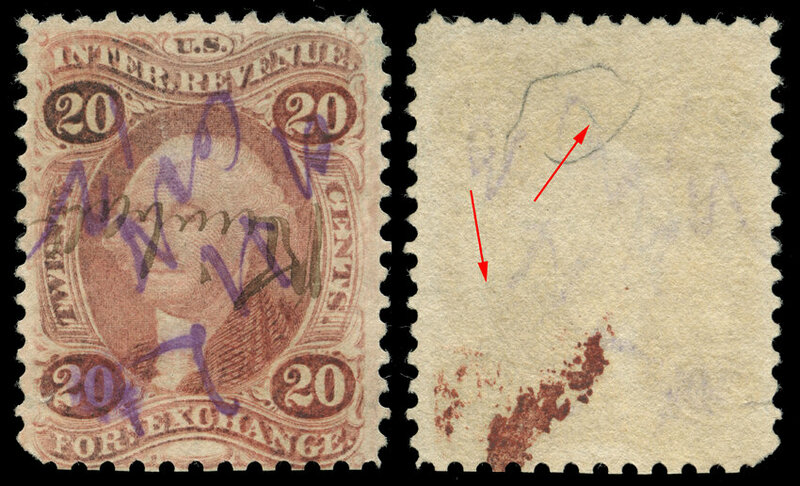 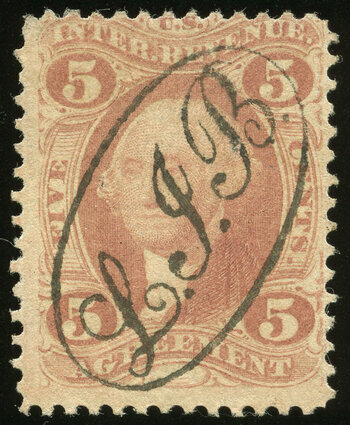 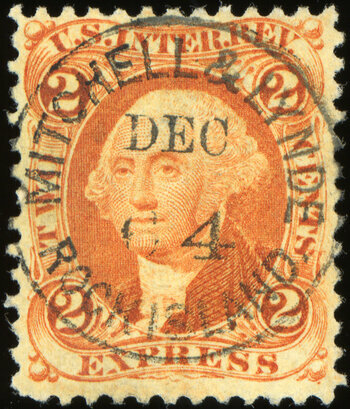 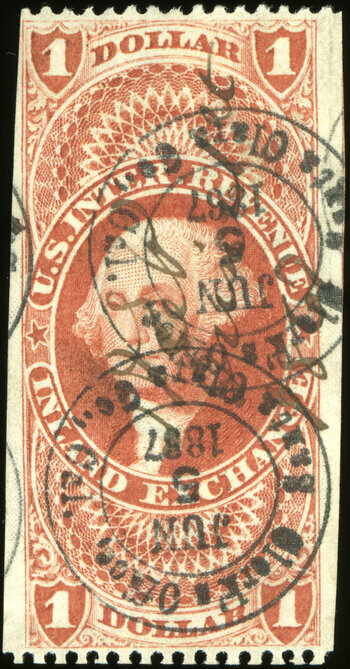 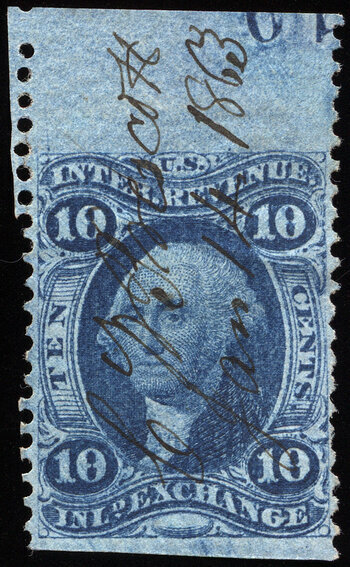 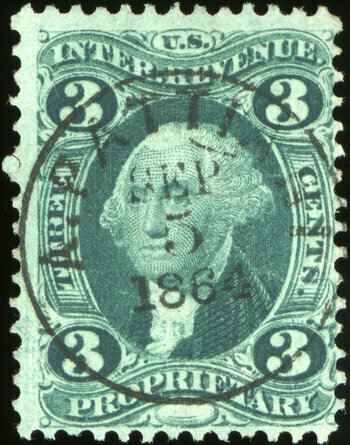 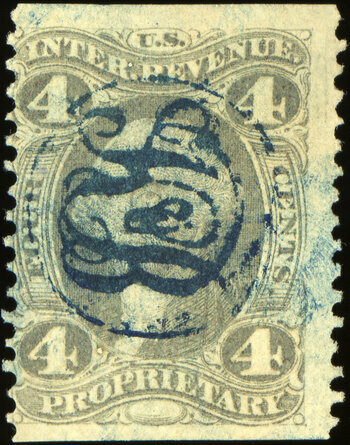 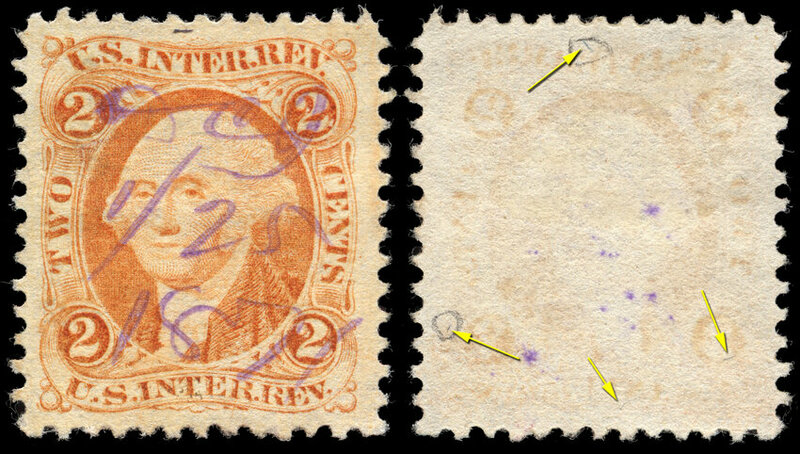 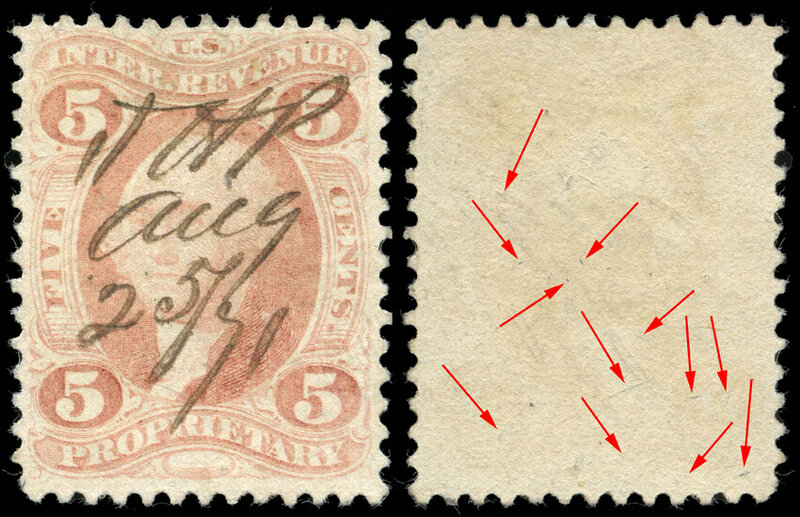 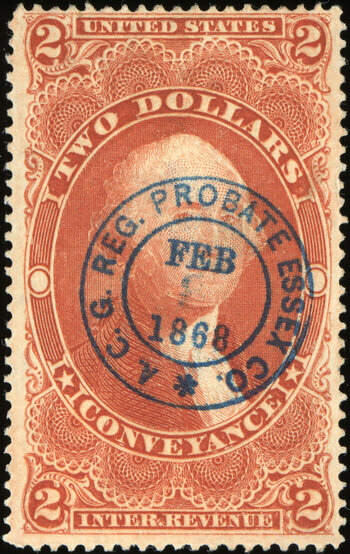 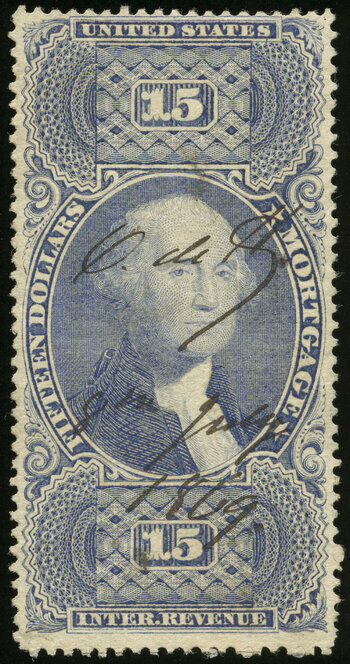 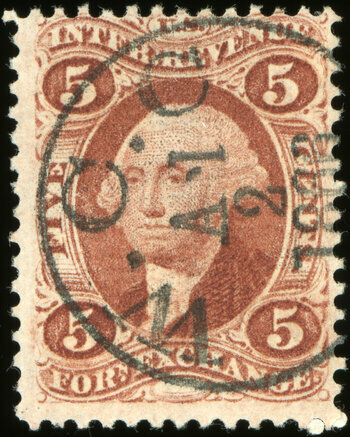 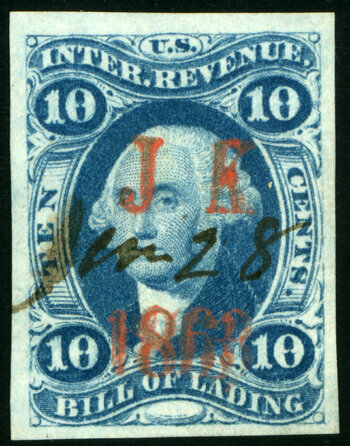 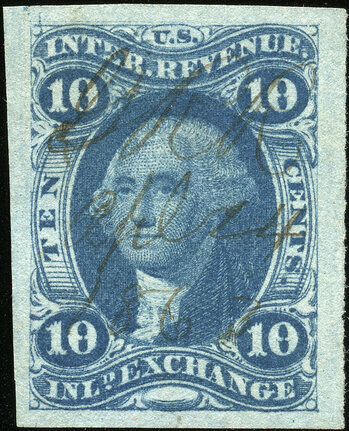 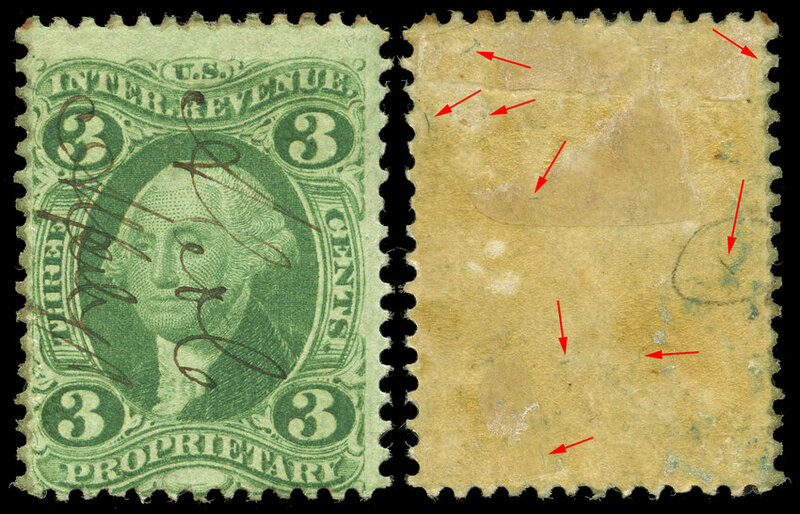 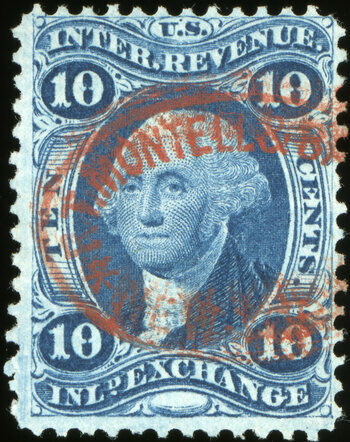 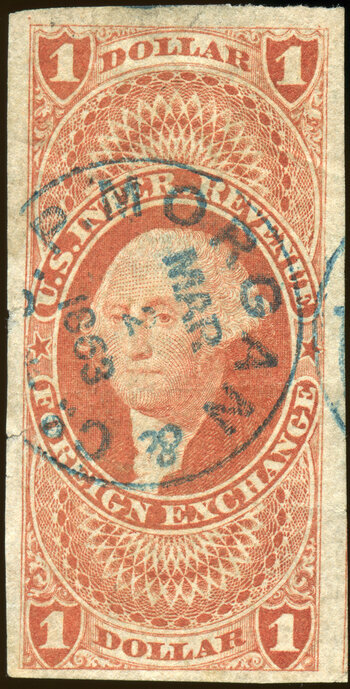 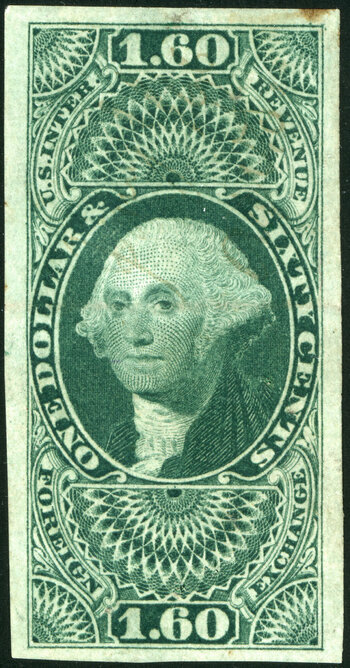 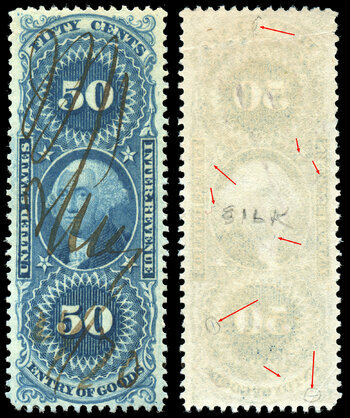 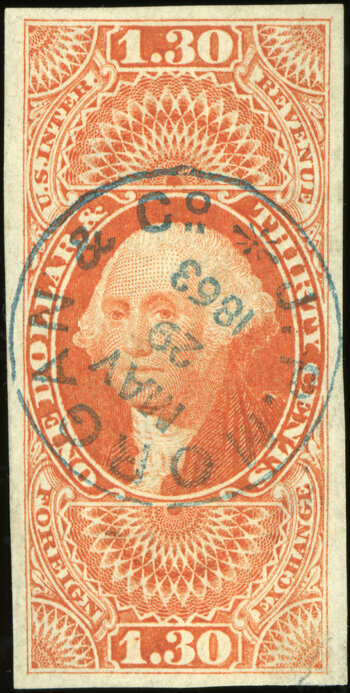 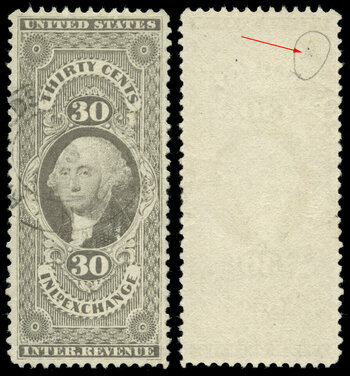 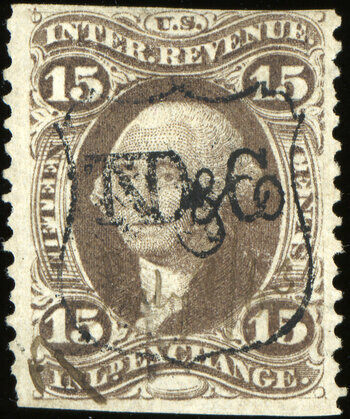 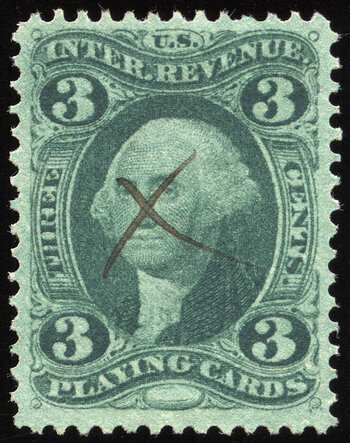 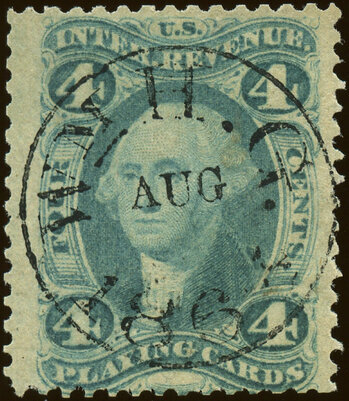 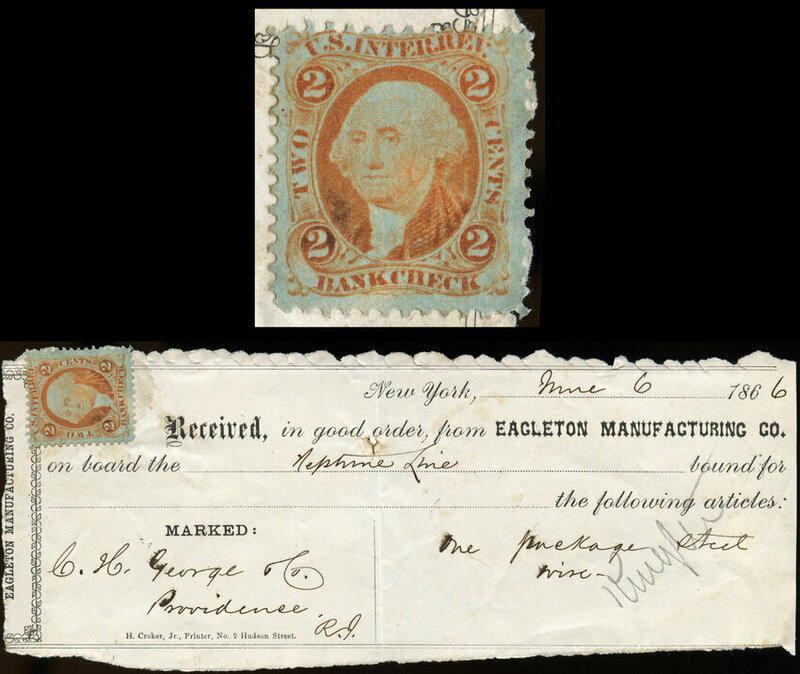 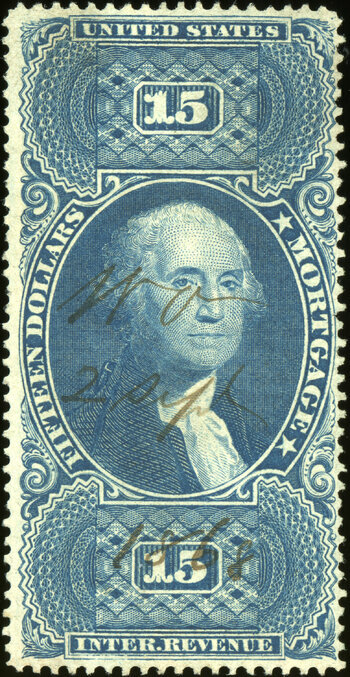 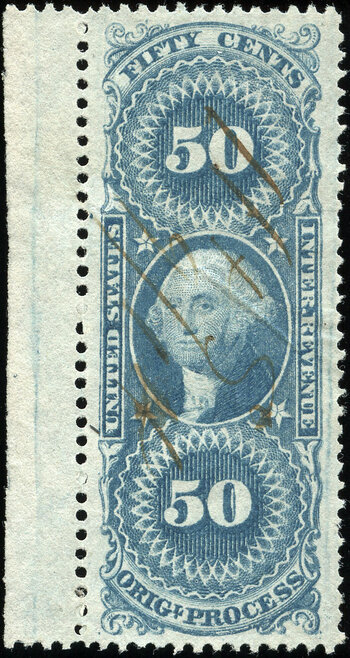 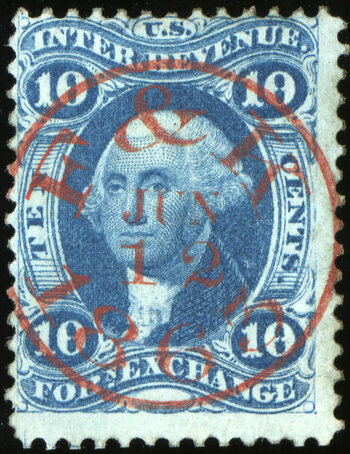 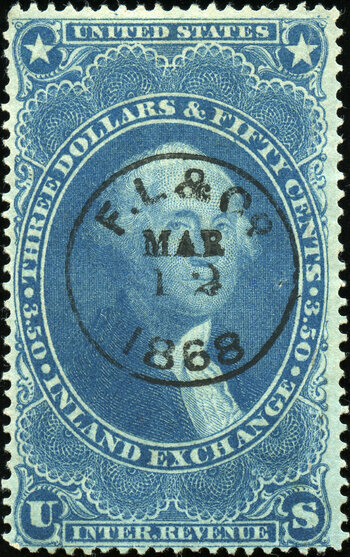 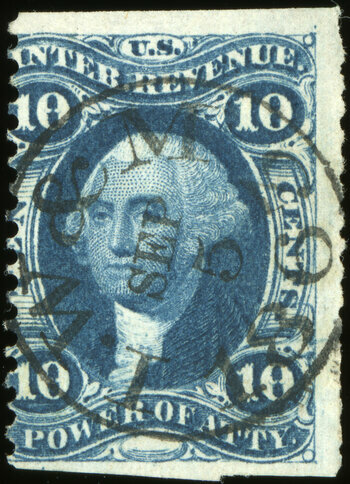 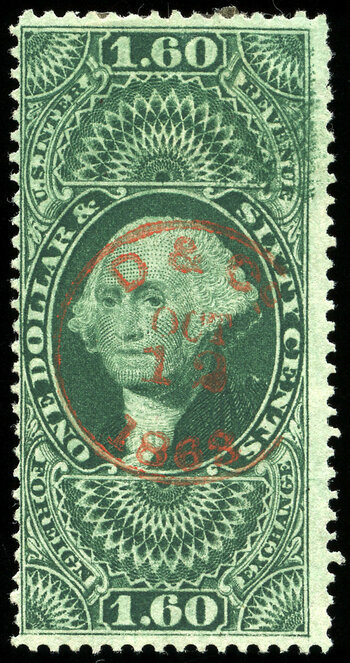 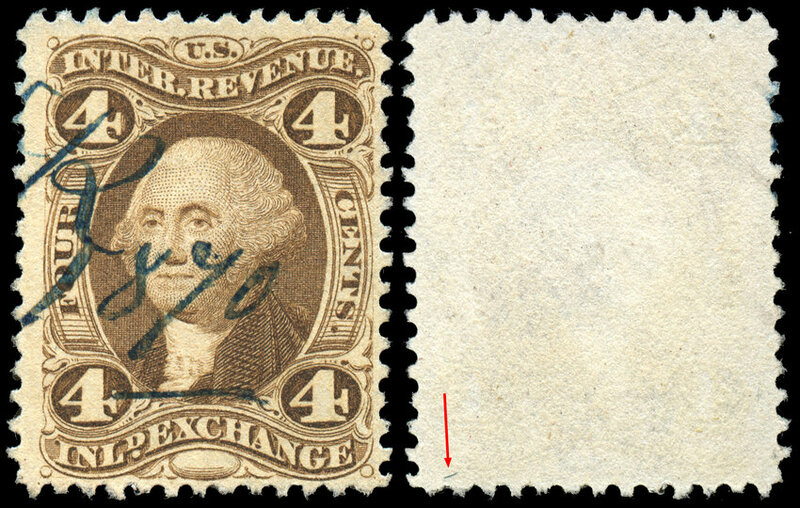 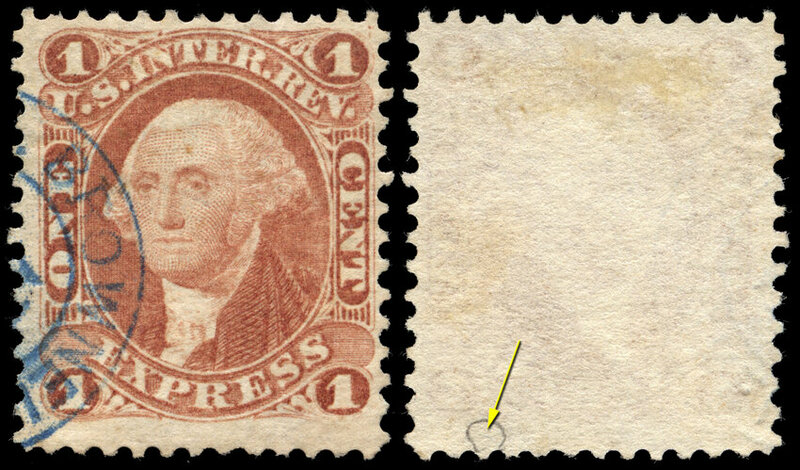 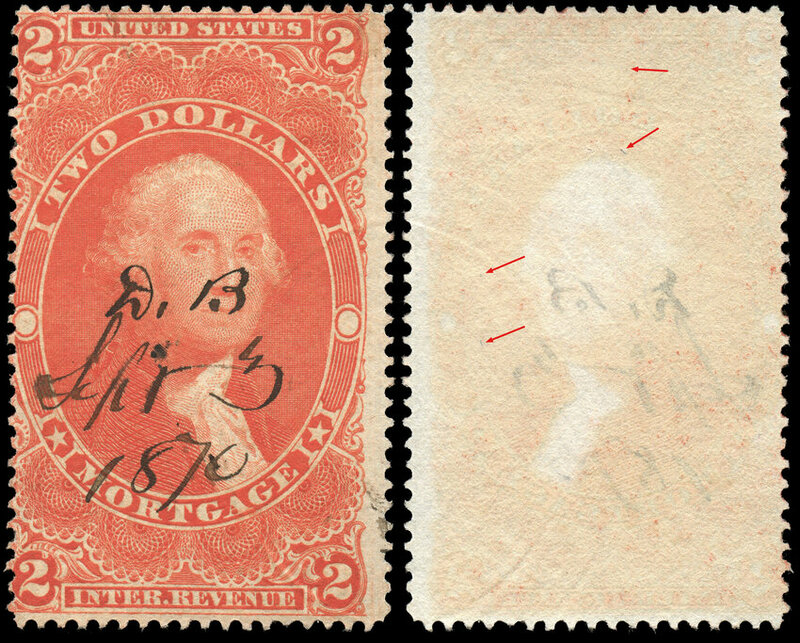 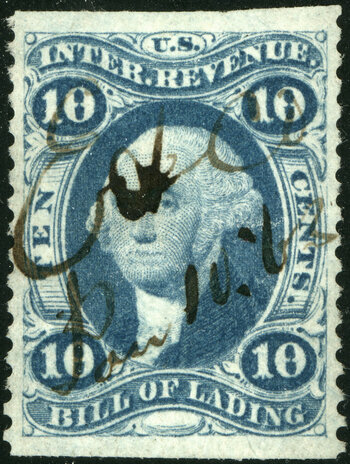 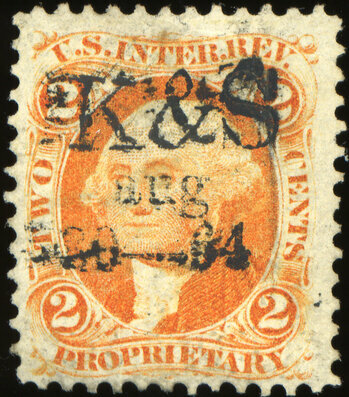 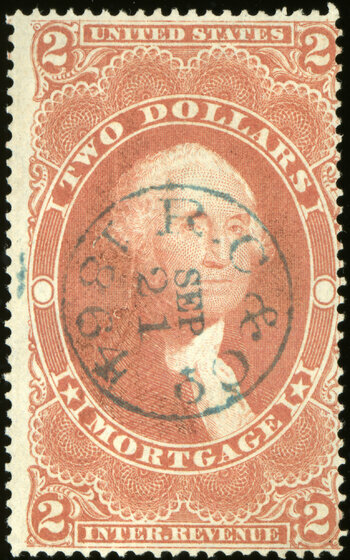 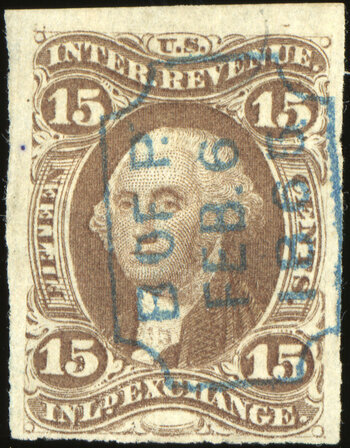 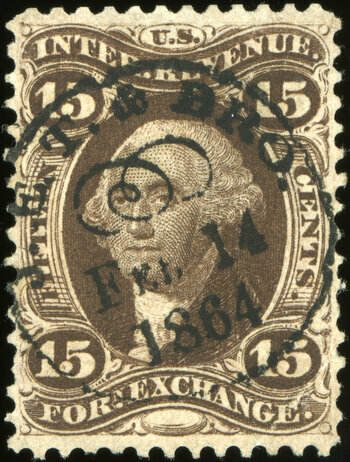 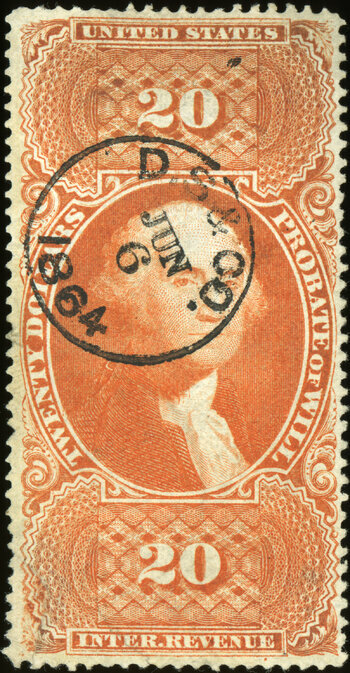 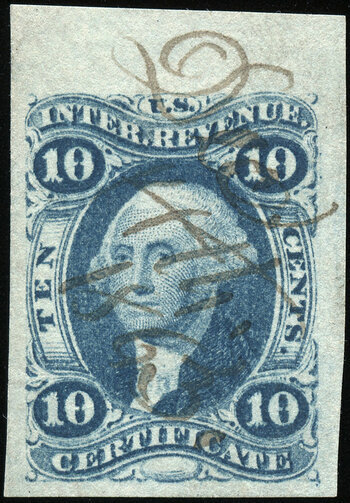 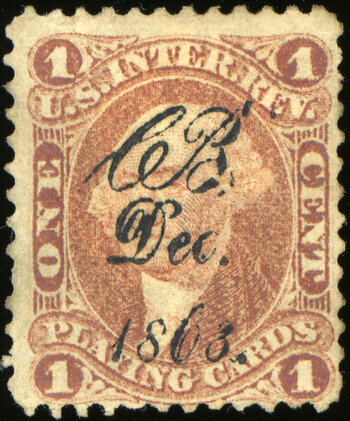 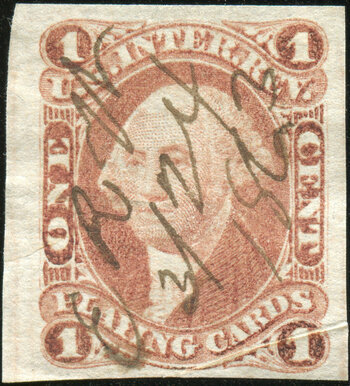 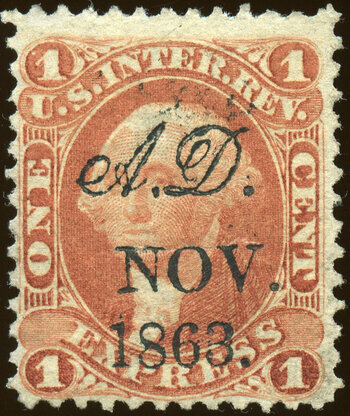 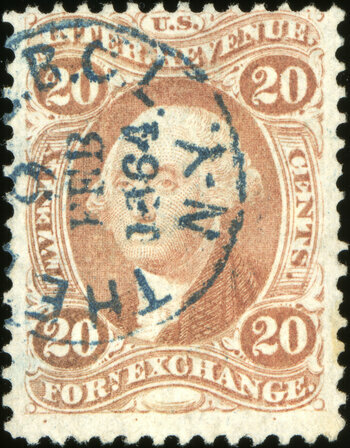 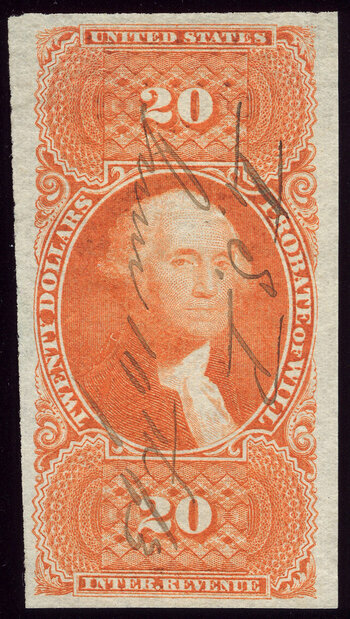 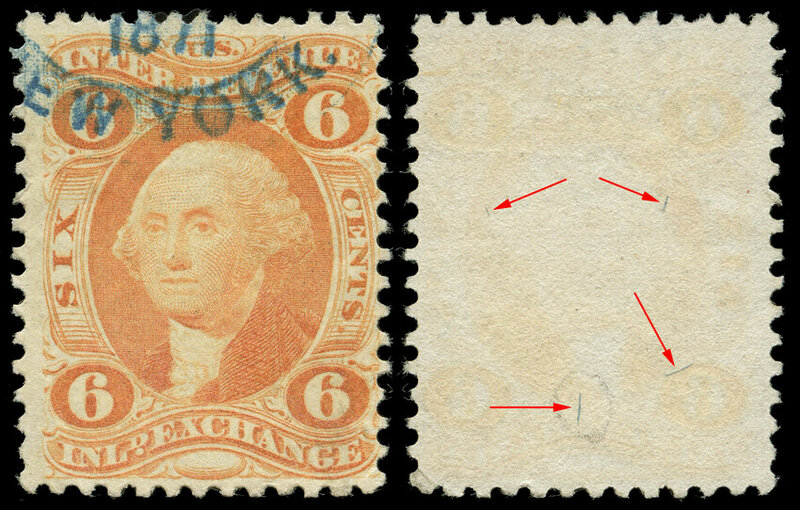 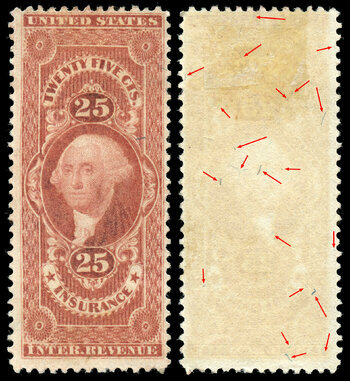 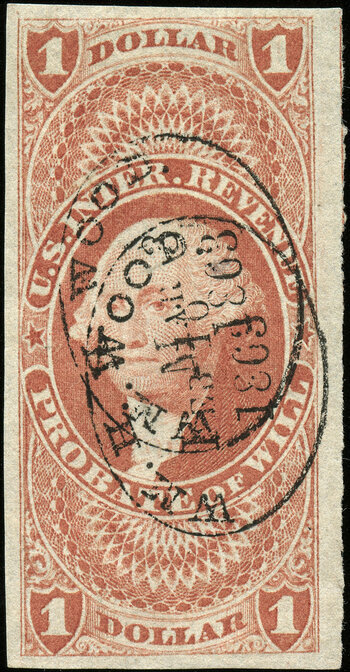 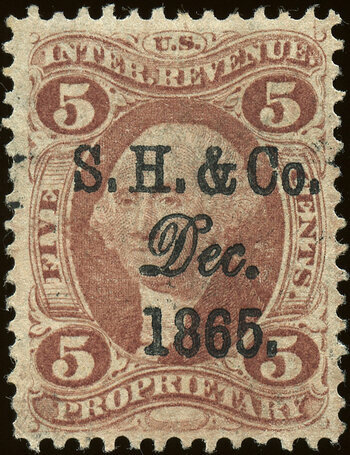 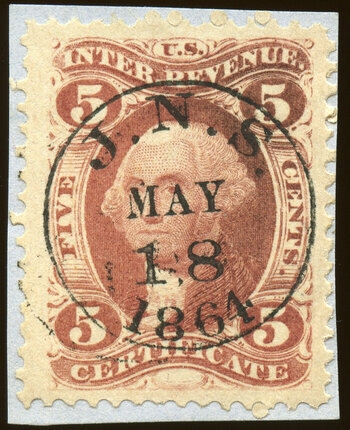 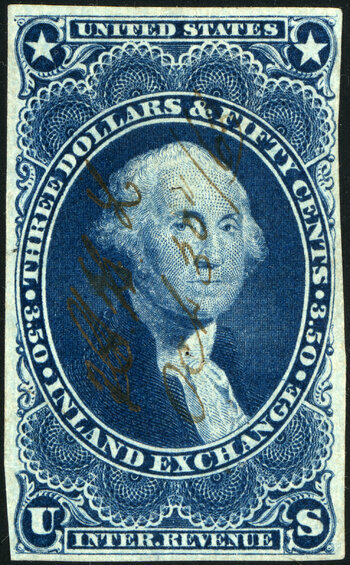 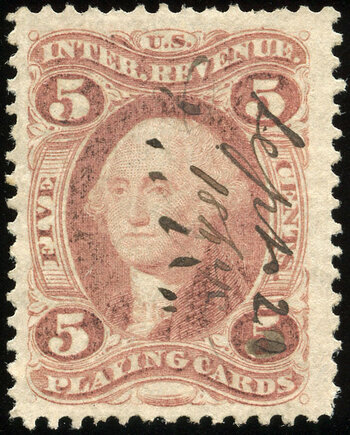 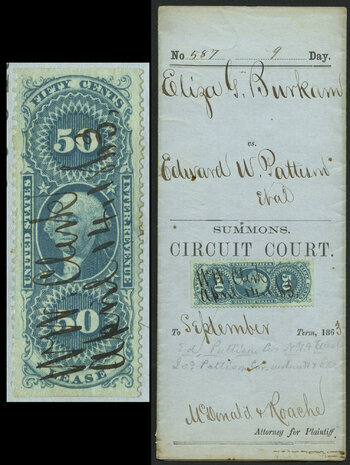 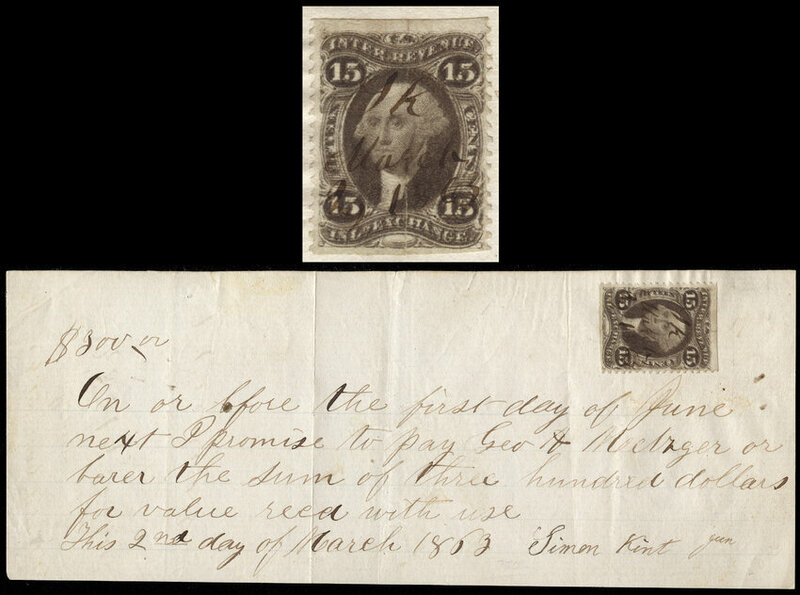 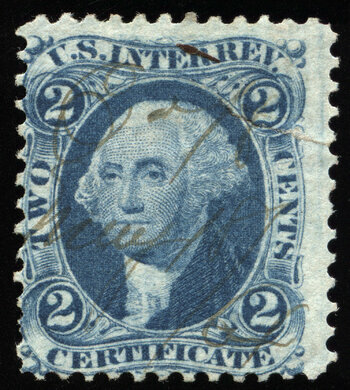 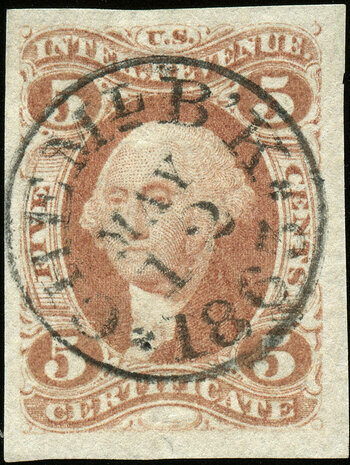 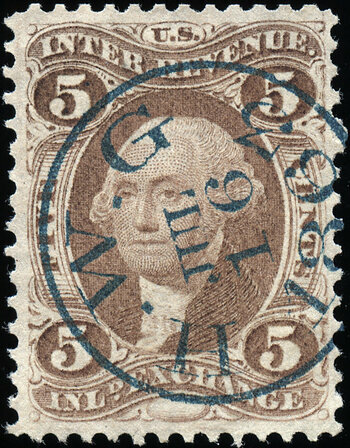 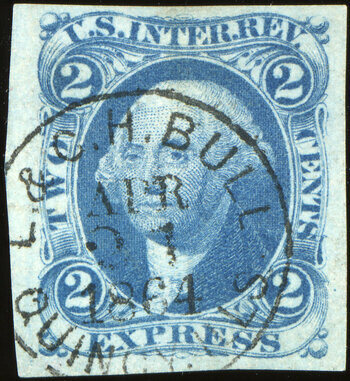 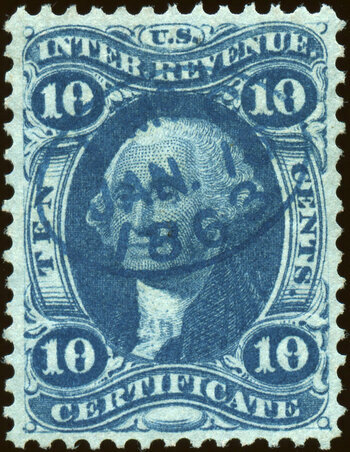 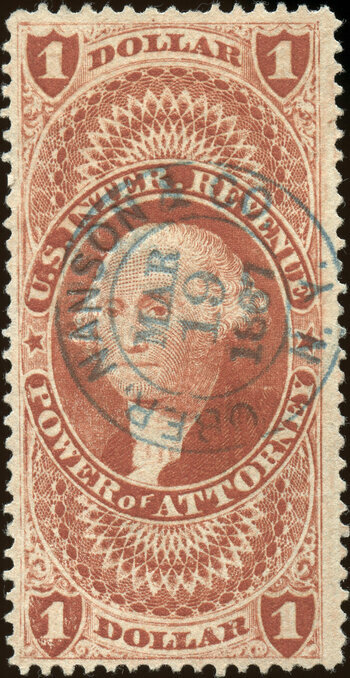 If I own a particular variety, you will see a thumbnail link to a full-size image of the stamp(s); an entry without a thumbnail means I still need the stamp. 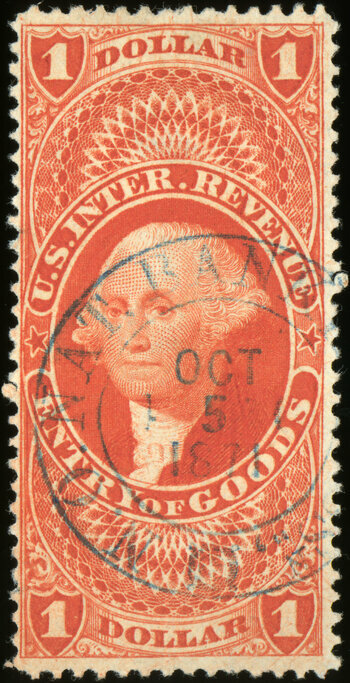 Feel free to contact me if you wish to sell/trade me a revenue I need (I'm always looking to trade worldwide classics for U.S. revenues. 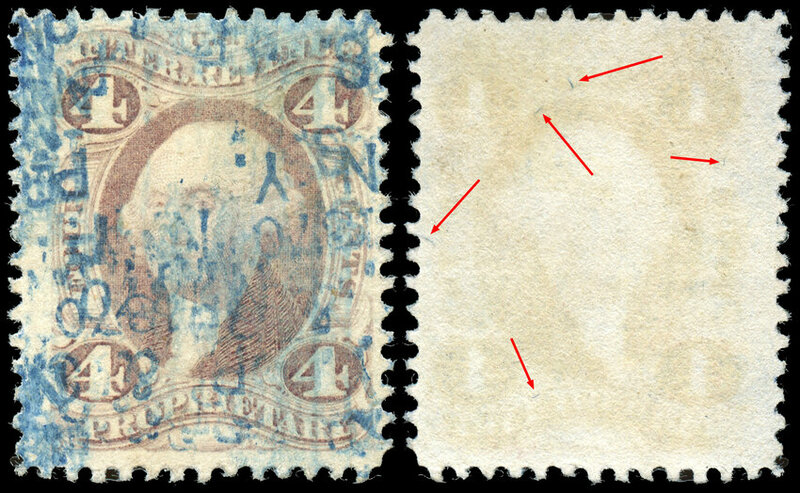 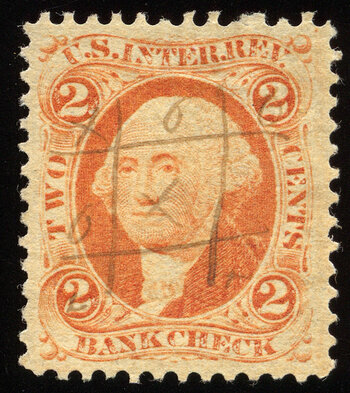 A gray table cell indicates that this particular variety does not exist for that denomination/type.